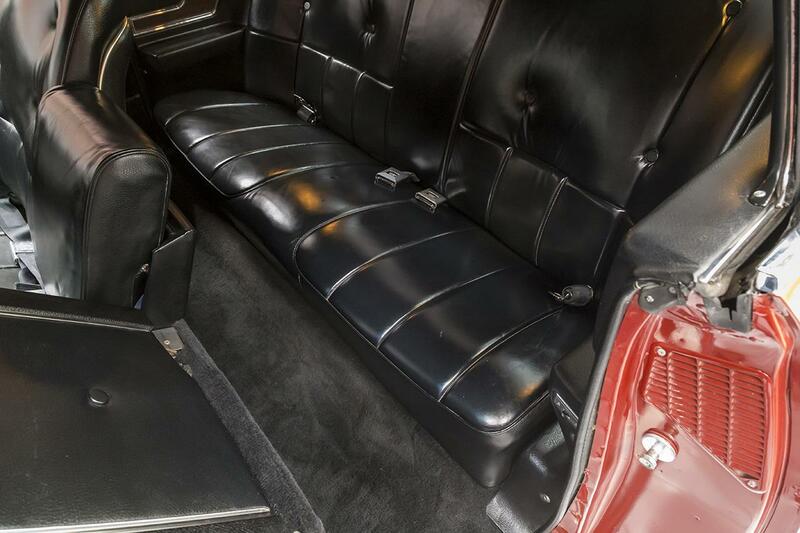 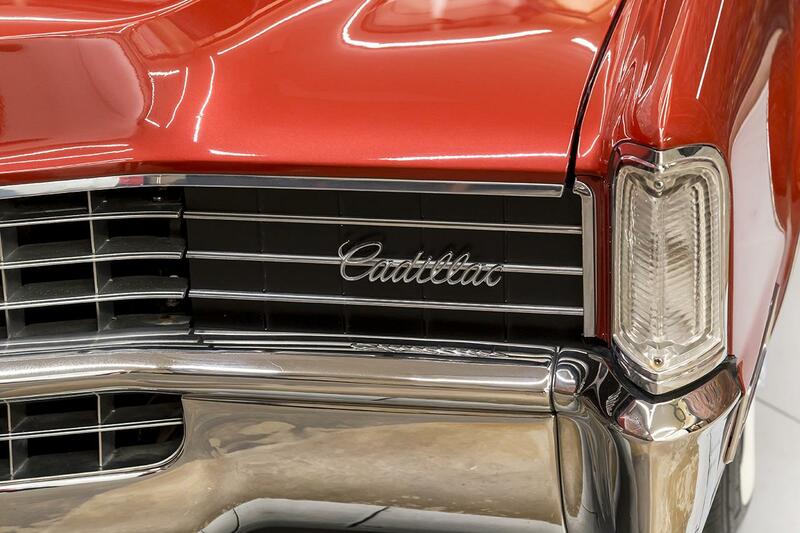 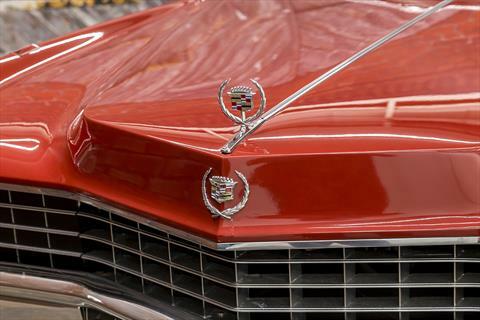 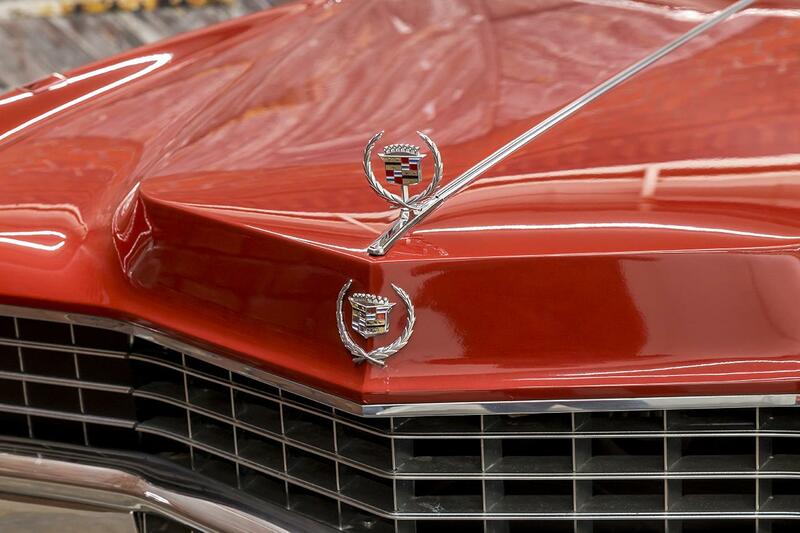 We proudly offer our beautiful 1968 Cadillac Eldorado in San Mateo Red Metallic over a Black vinyl interior with 75,951 miles. 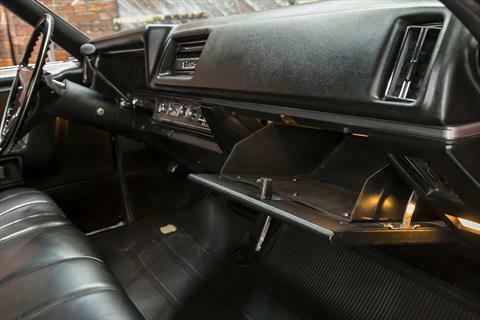 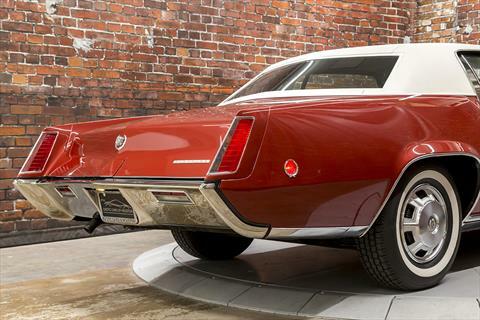 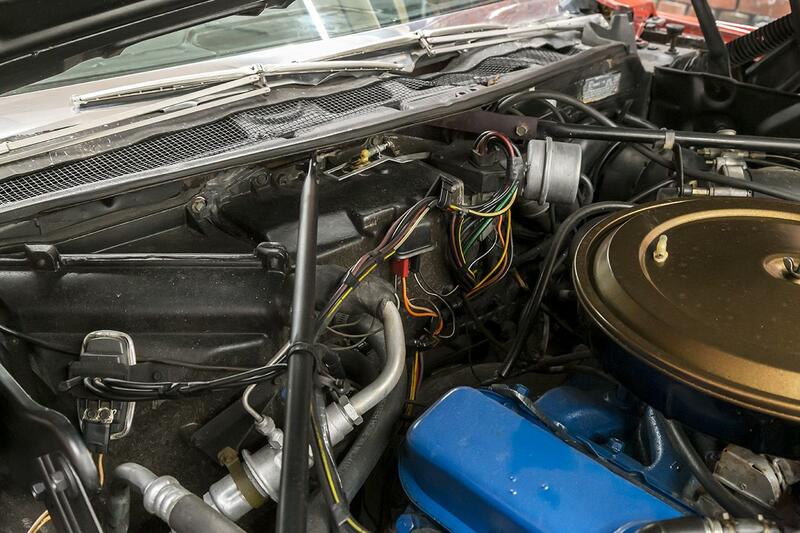 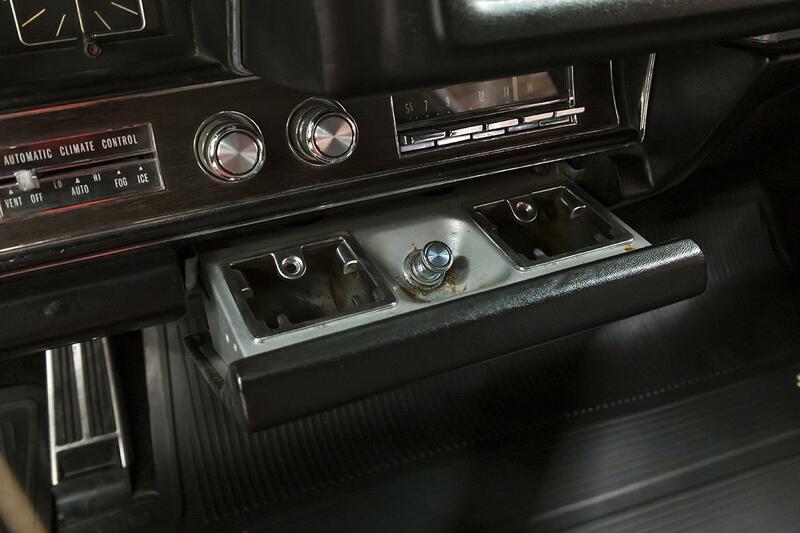 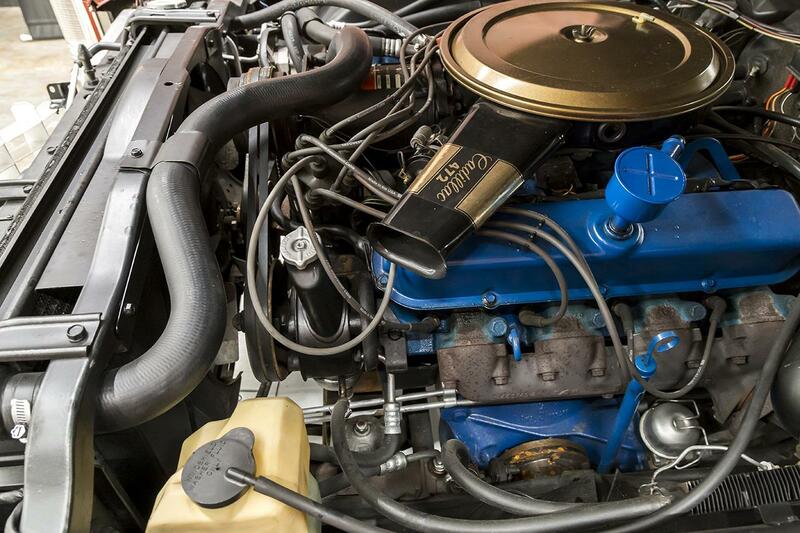 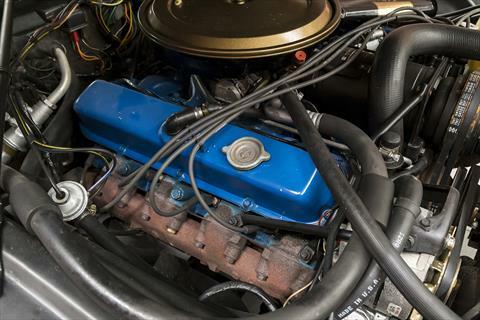 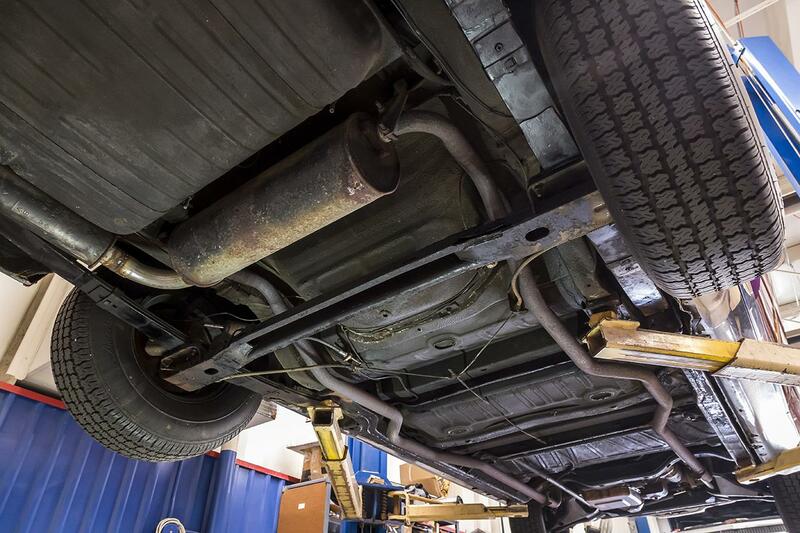 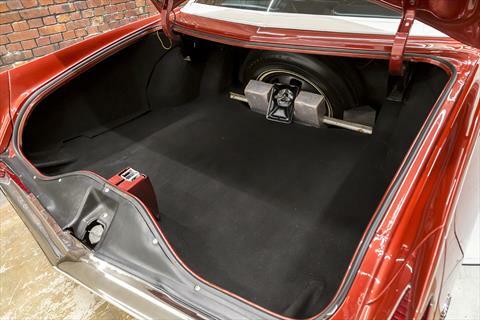 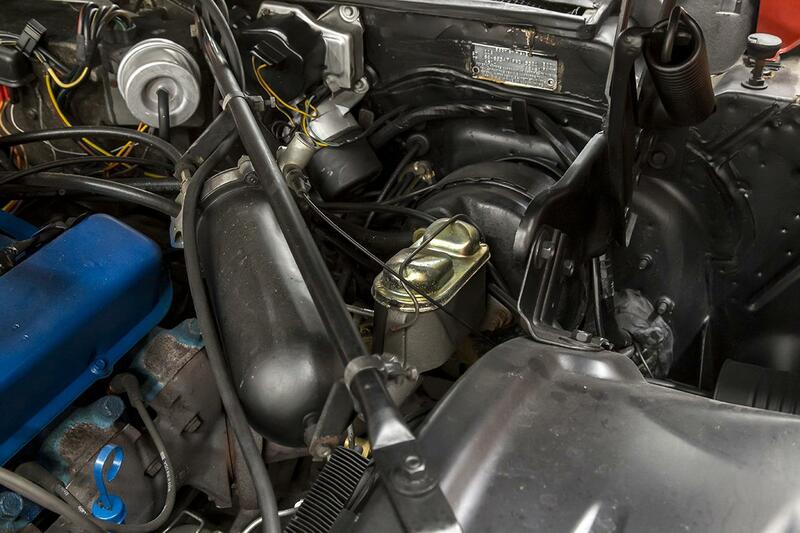 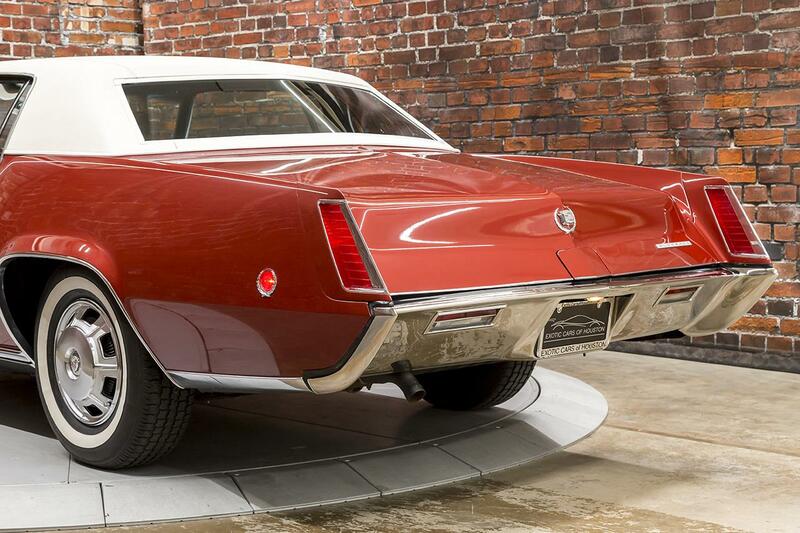 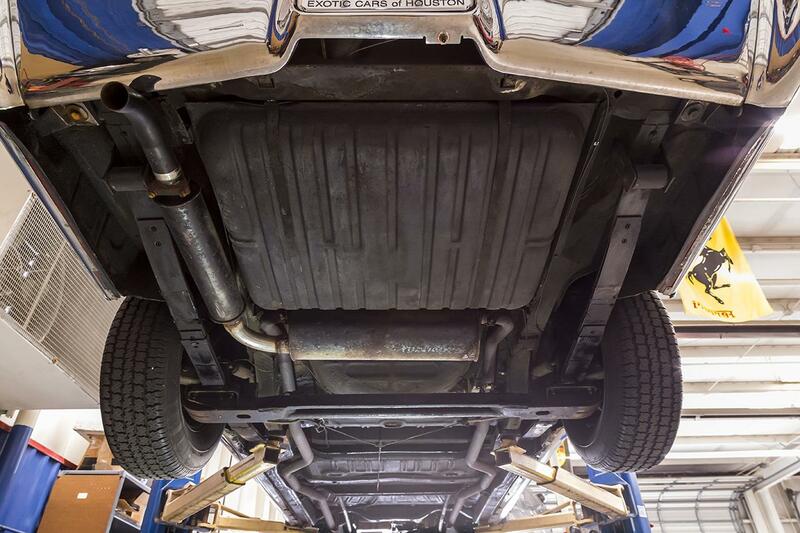 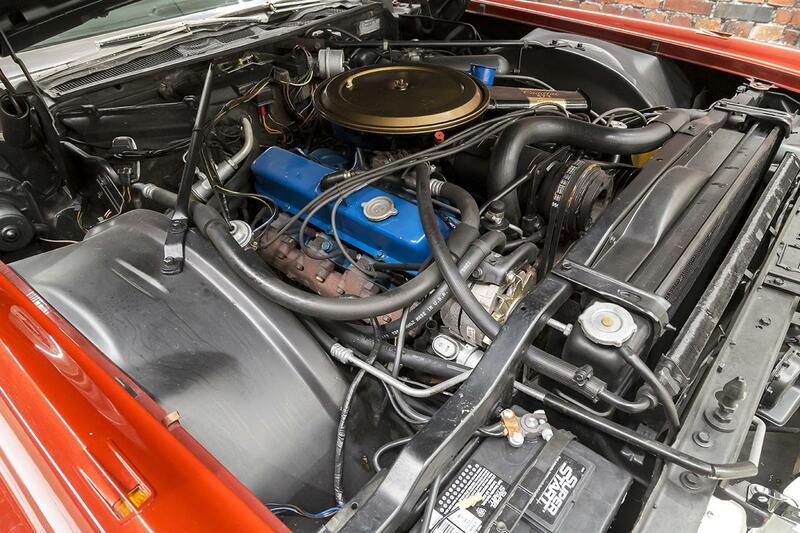 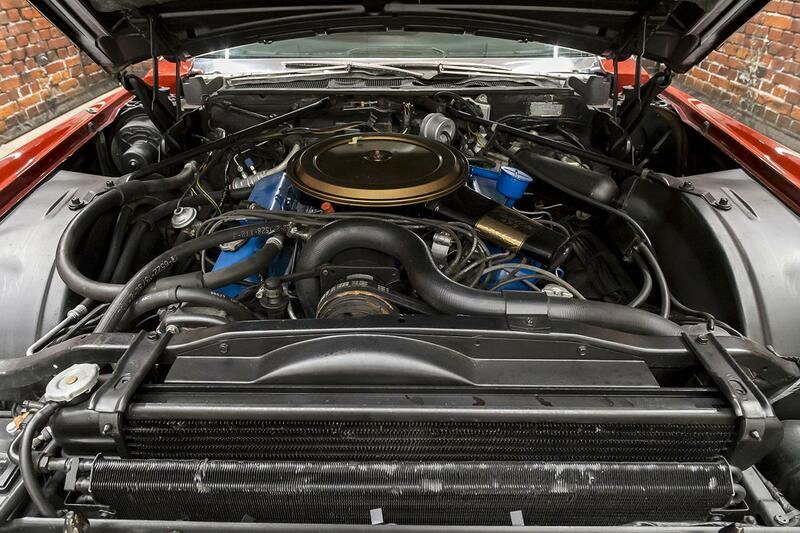 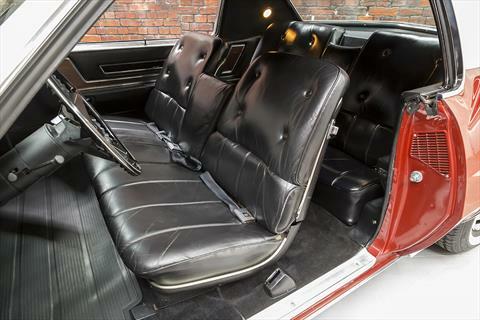 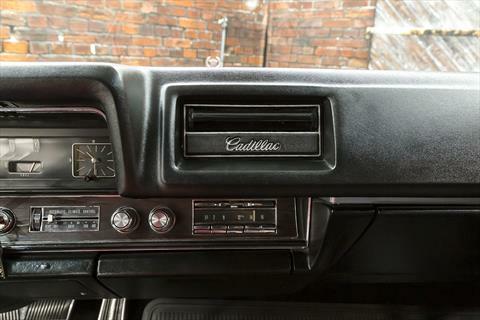 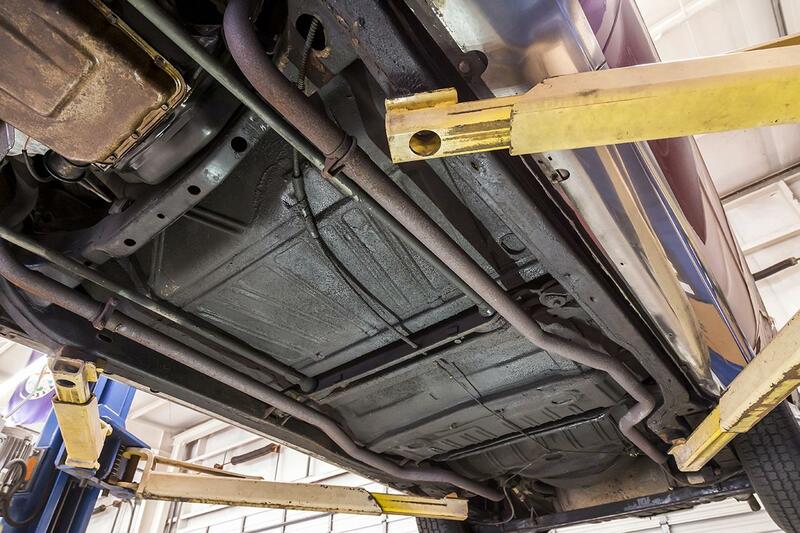 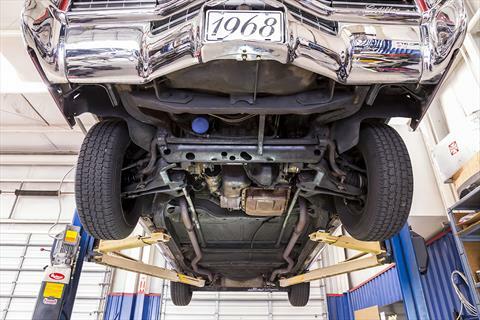 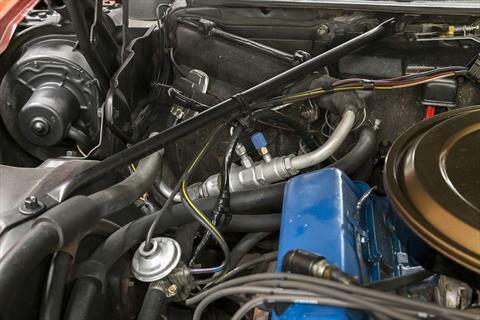 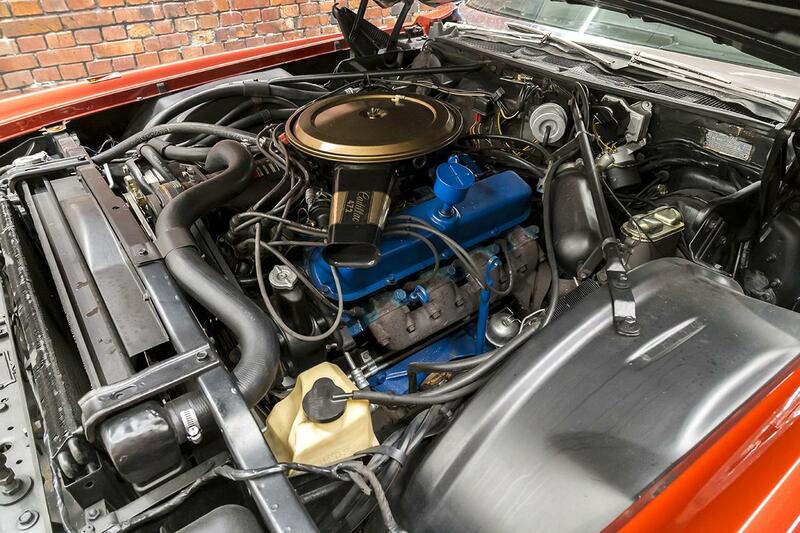 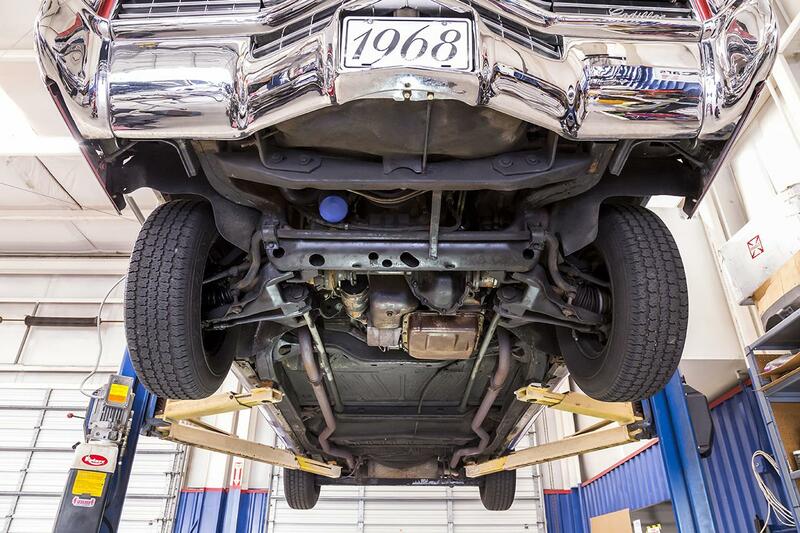 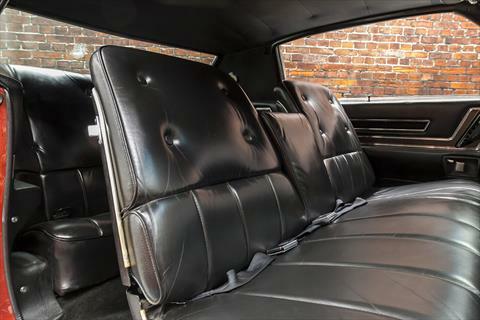 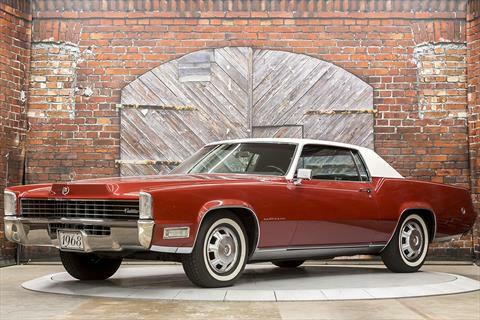 The 1968 Eldorado is powered by the new-for-1968, incredibly smooth running 472 V8 producing 375 hp and 525 lb-ft of torque through an automatic transmission and front-wheel-drive. 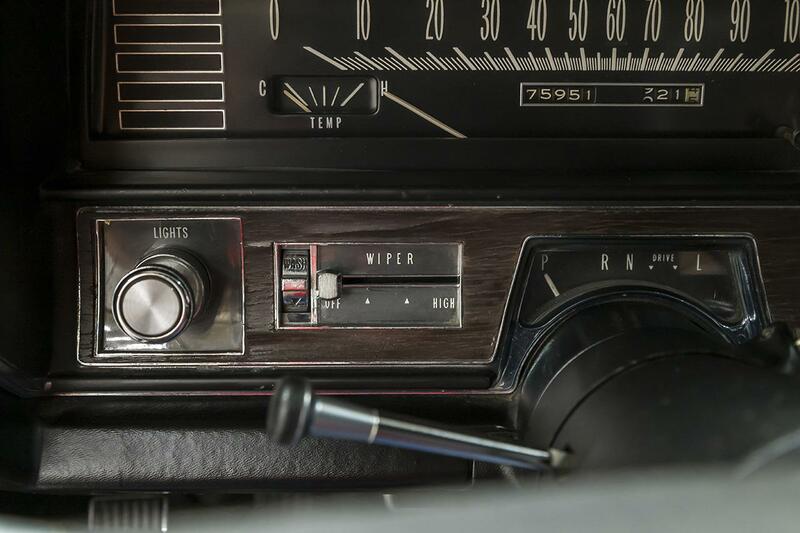 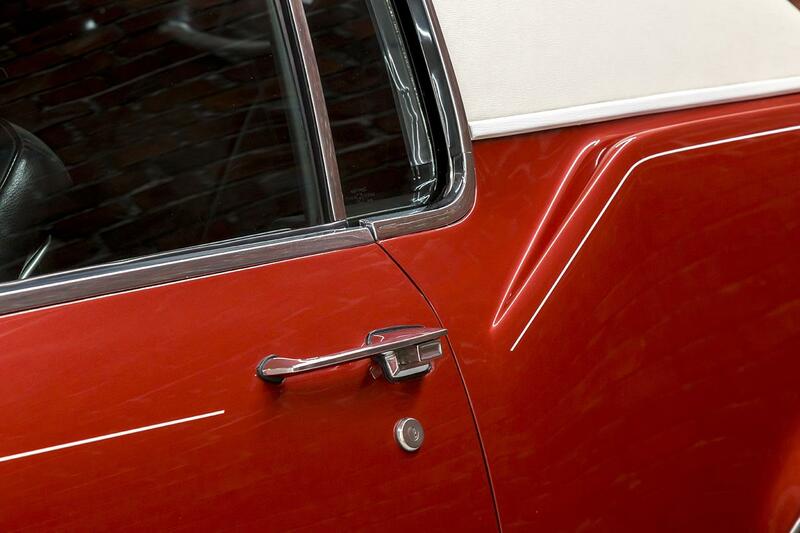 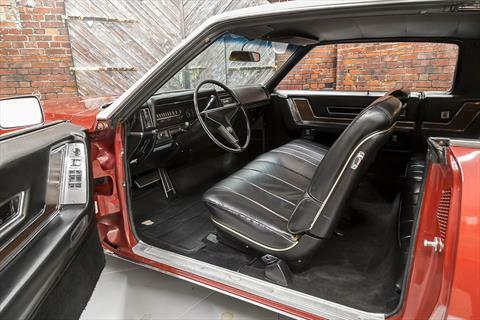 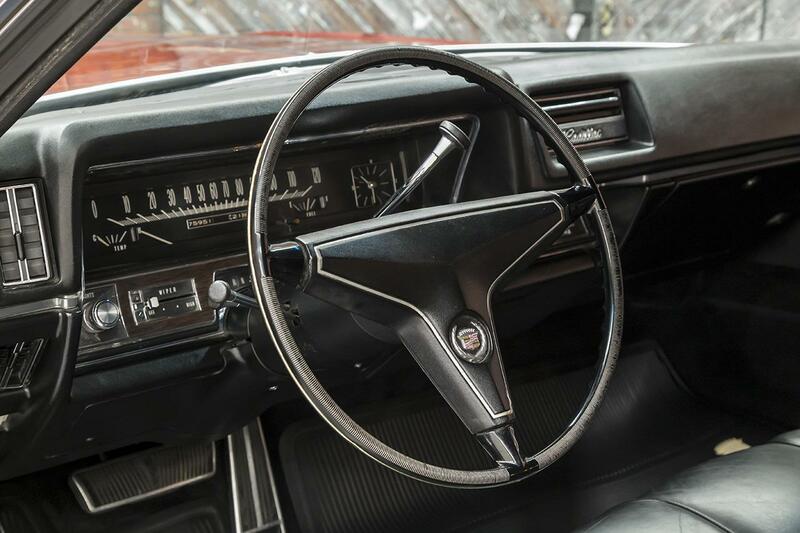 The 1968 model changes also included an even longer hood, concealed windshield wipers, turn signals integrated into the front fender tips, a new interior with a padded dash and rosewood trim, and the previously optional front disc brakes became standard equipment. 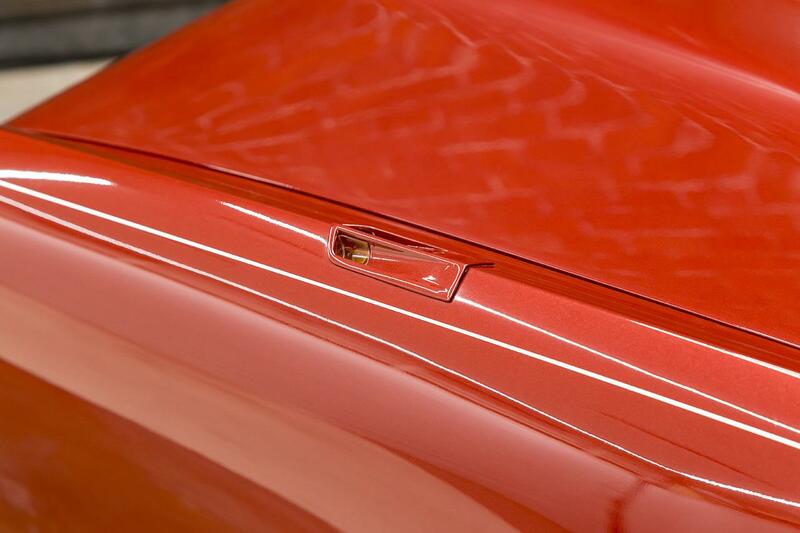 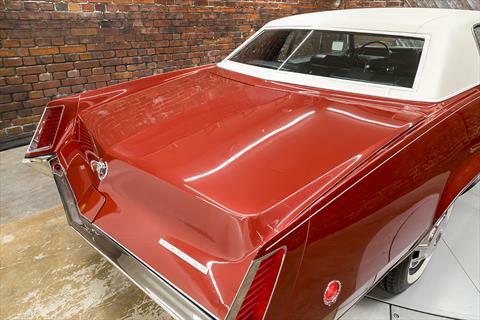 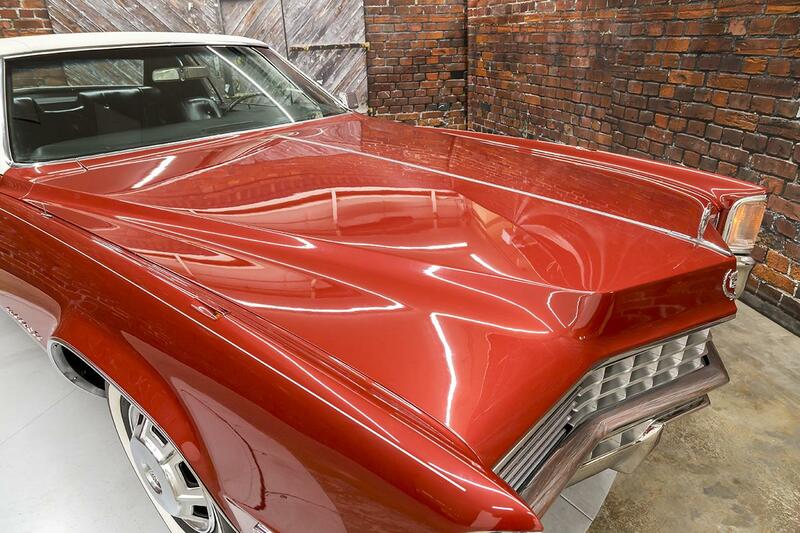 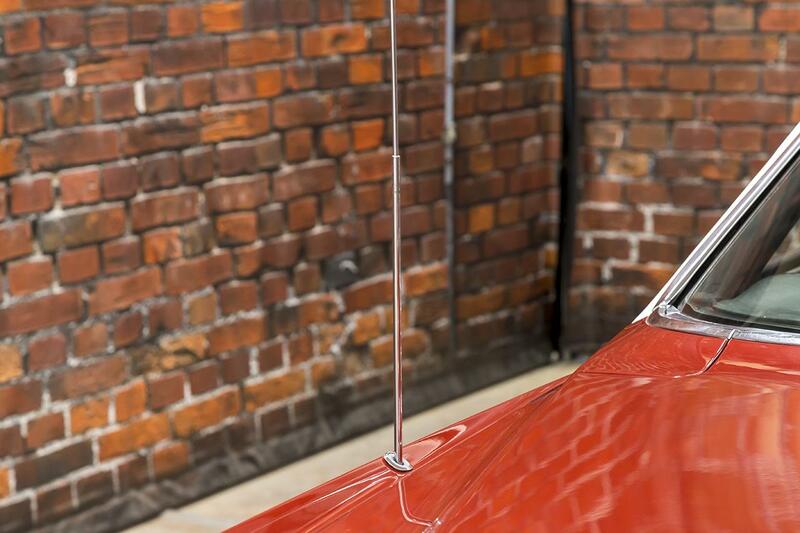 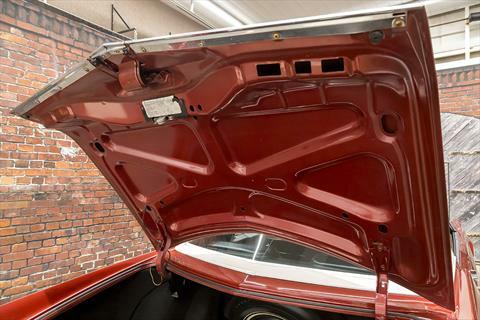 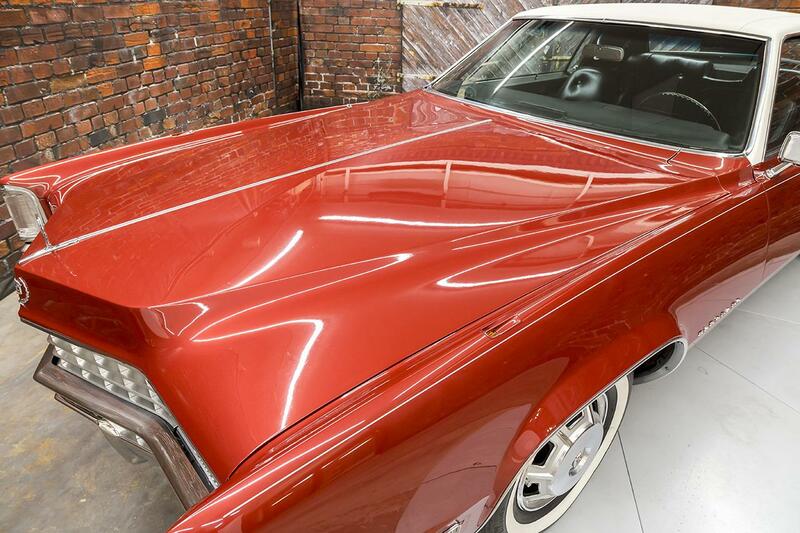 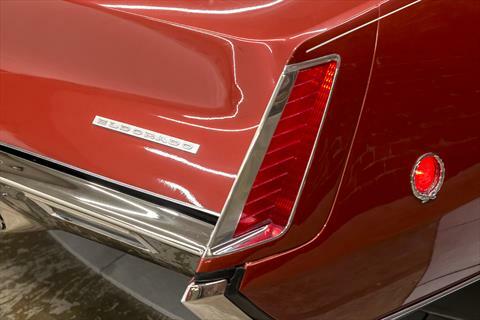 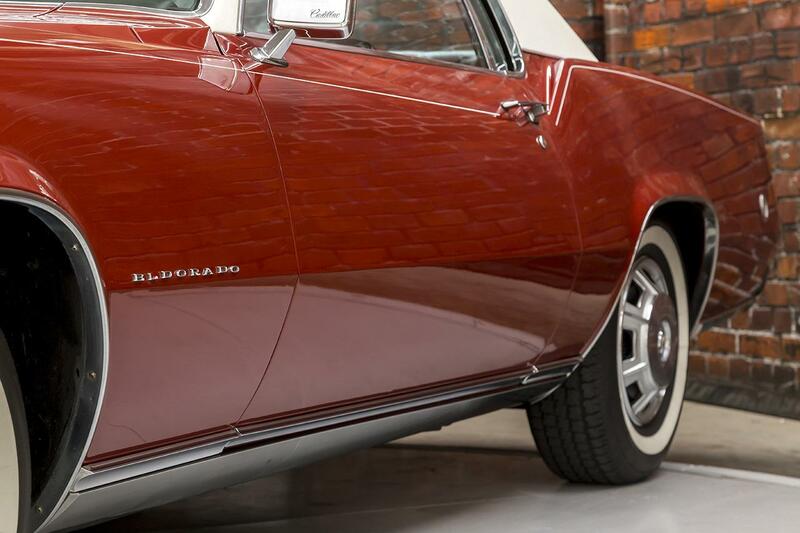 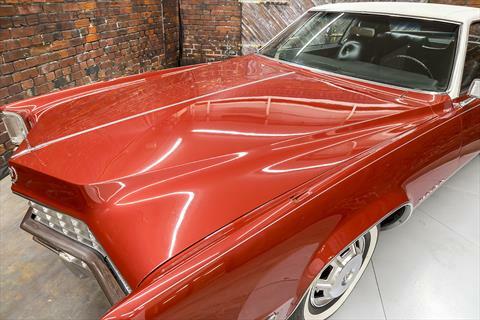 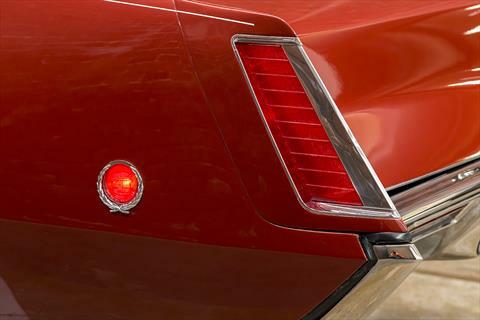 This Eldorado is finished in its original San Mateo Red Metallic color that has been previously refinished and shows a fantastic, deep shine. 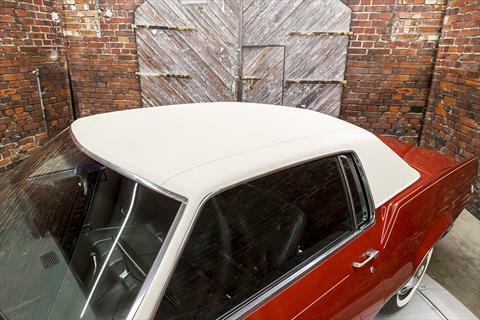 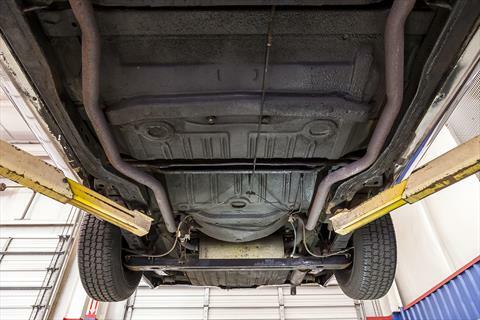 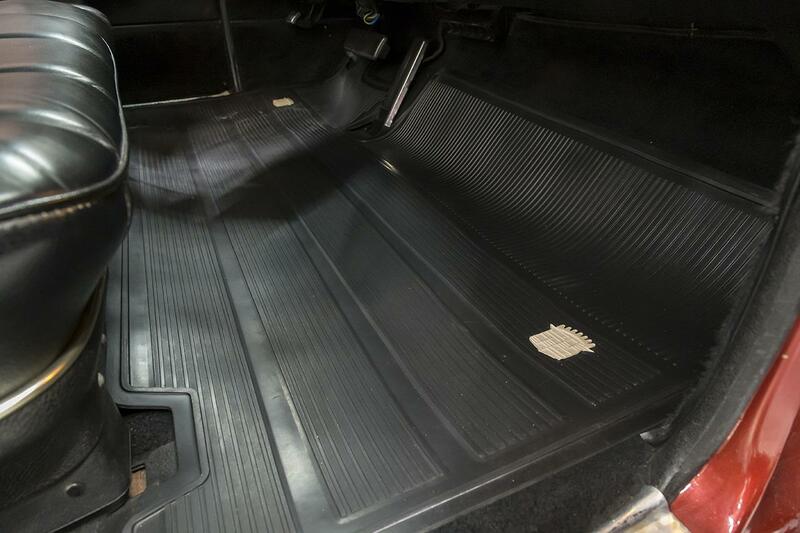 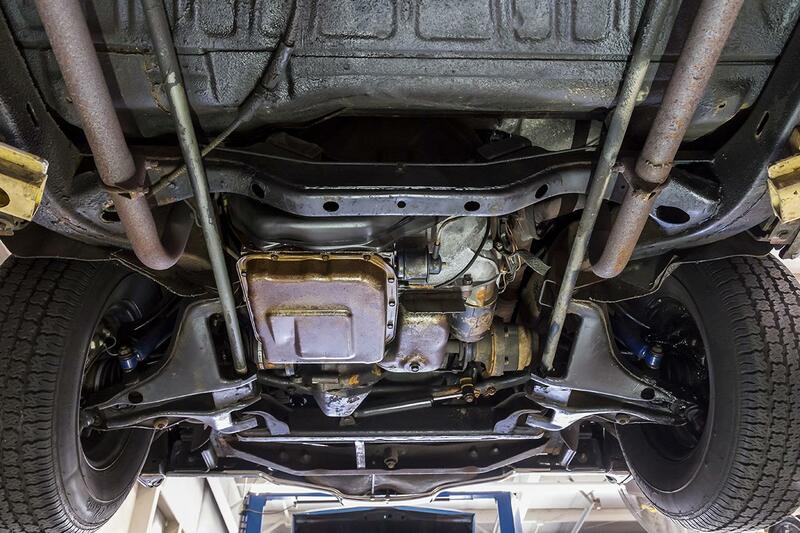 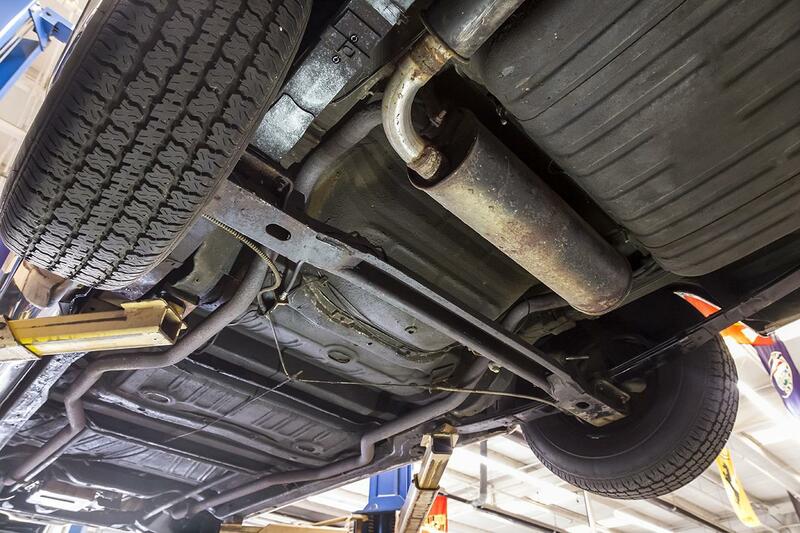 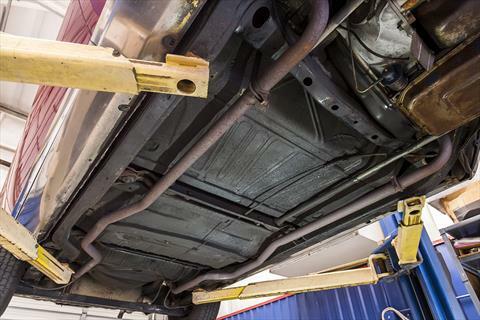 The body is straight and the doors effortlessly shut with a solid feel. 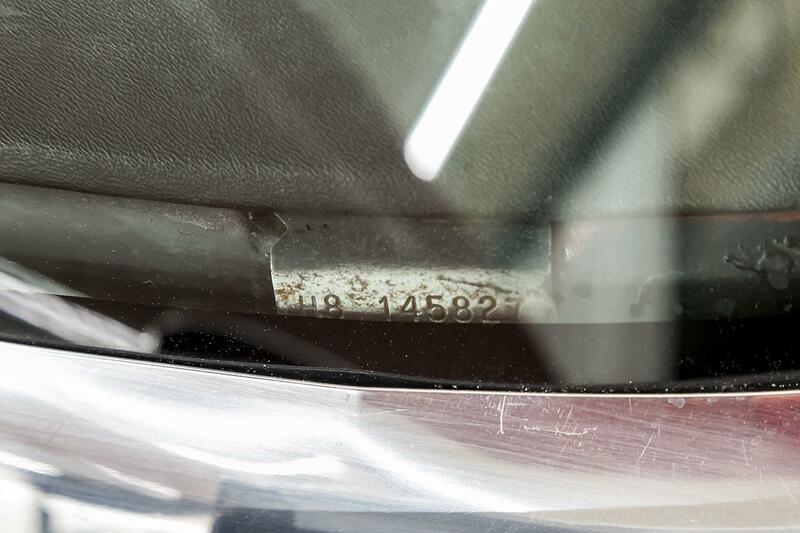 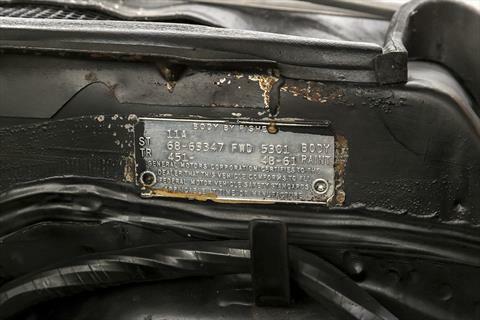 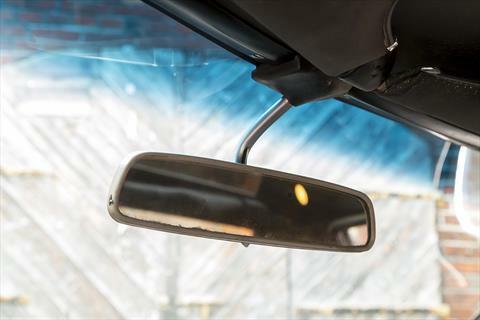 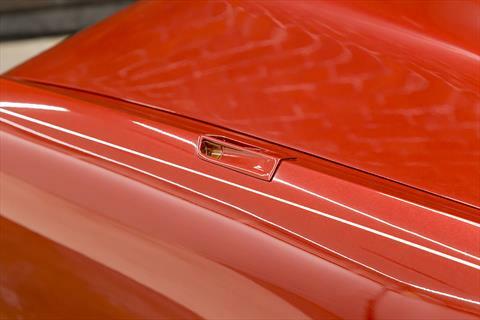 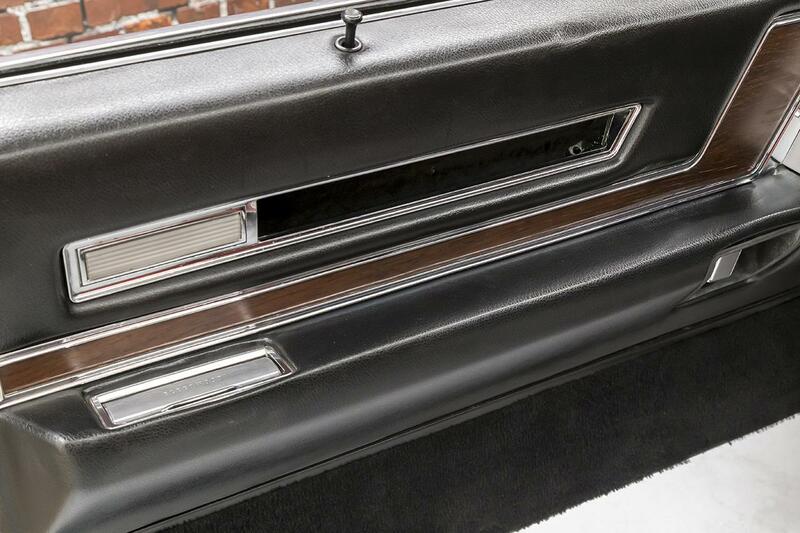 The power windows, power antenna, and headlight covers all operate as intended. 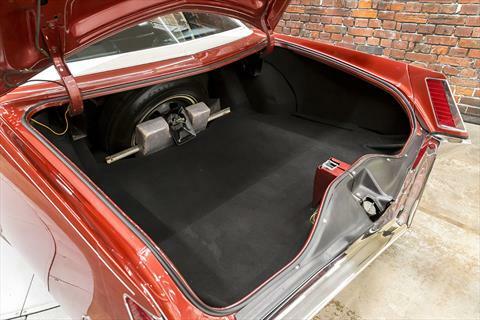 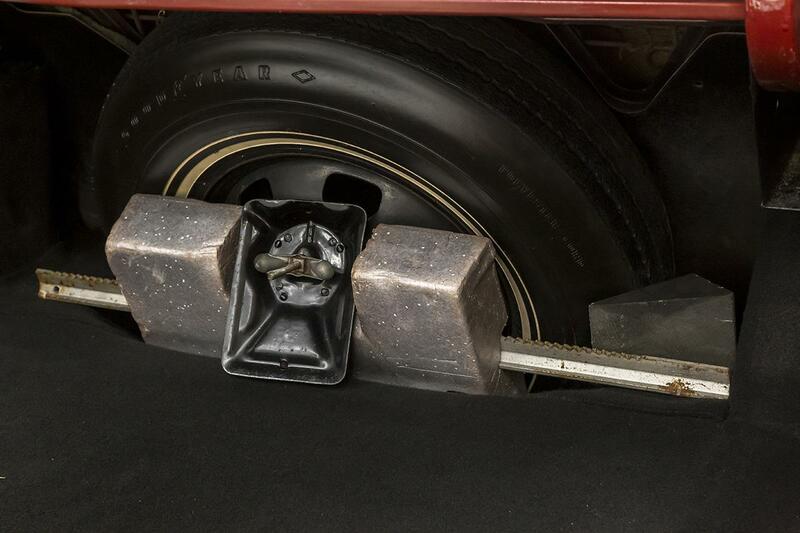 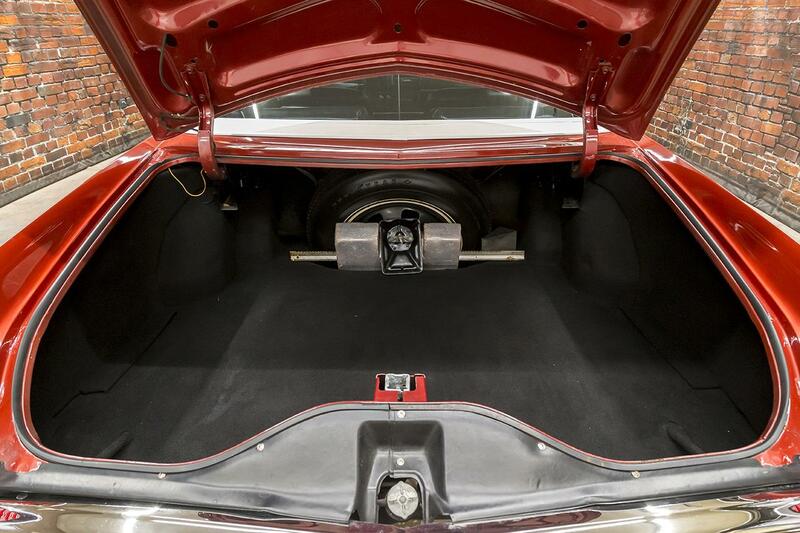 The jack and spare are stowed in the trunk. 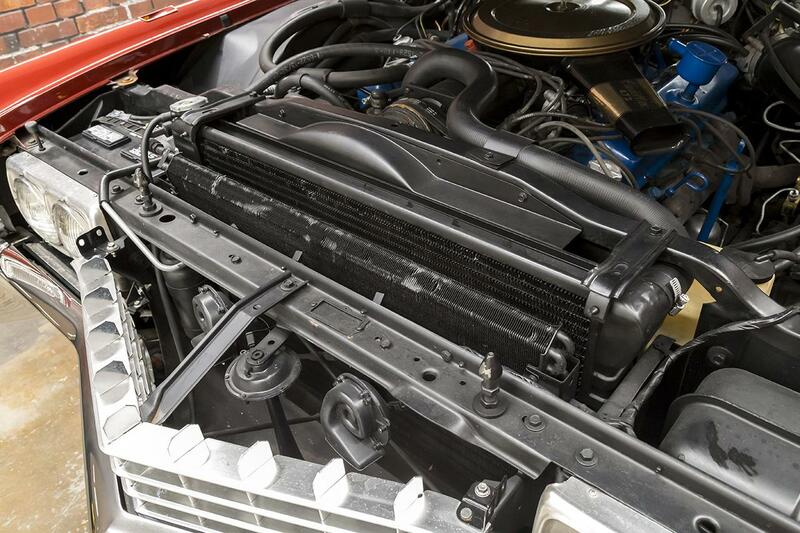 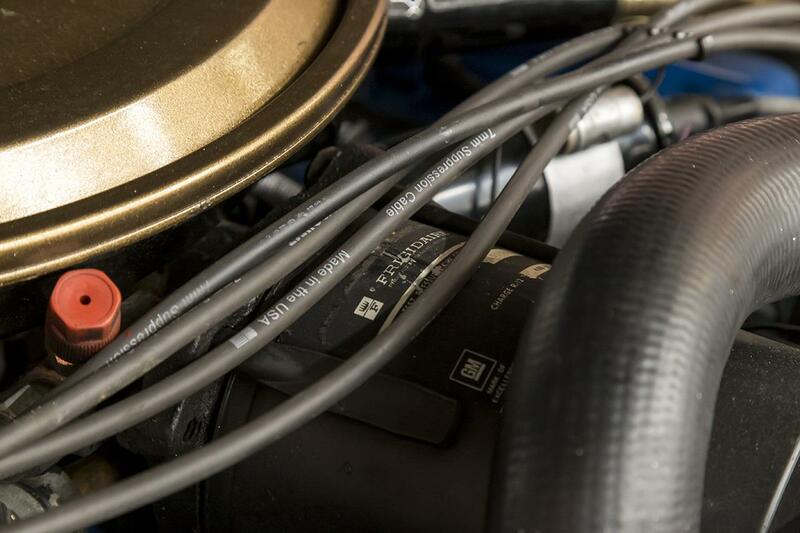 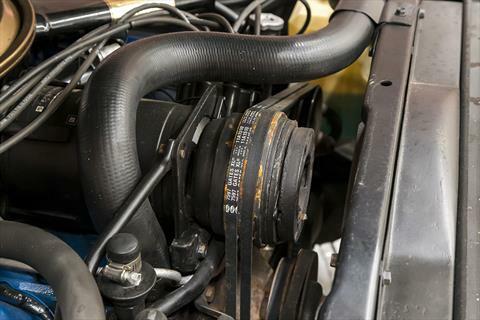 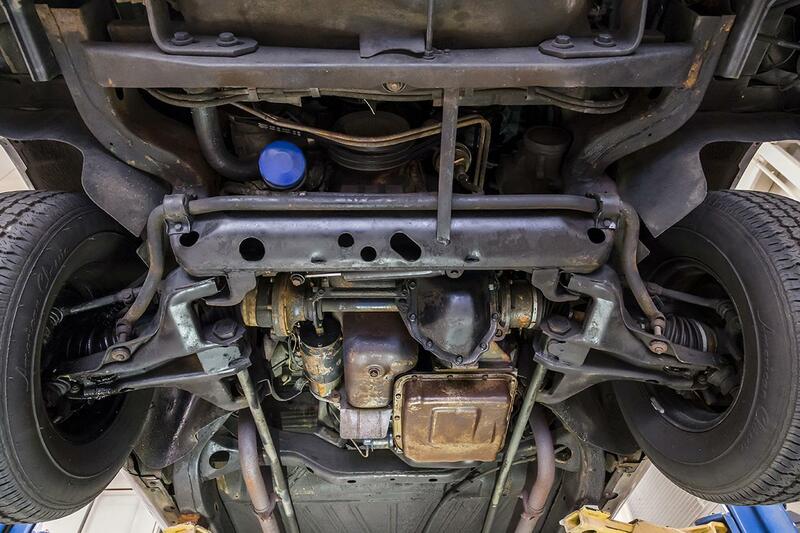 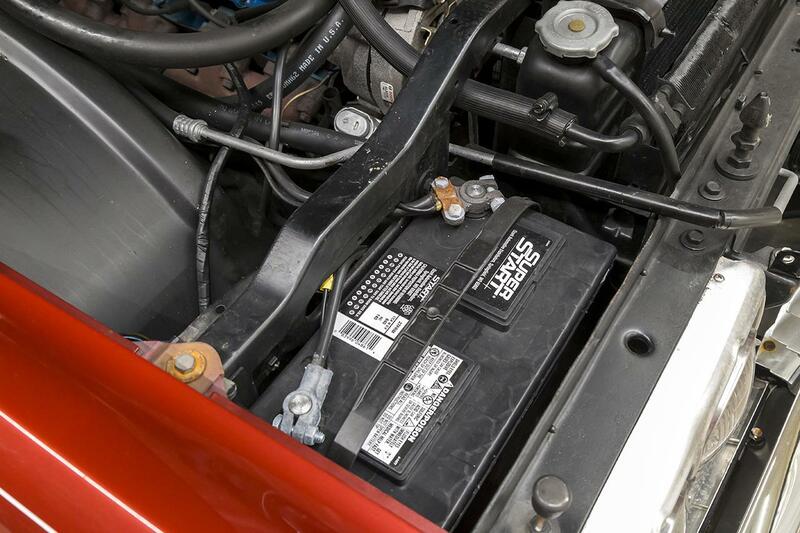 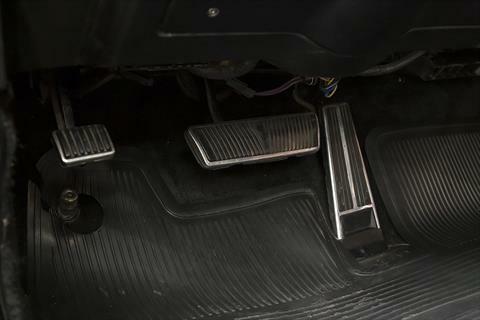 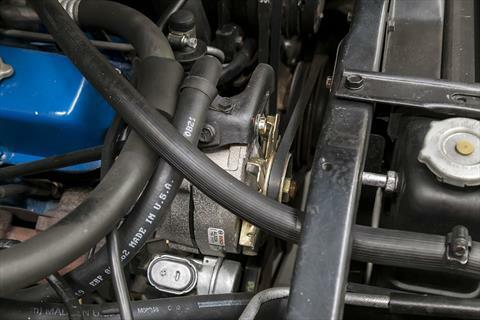 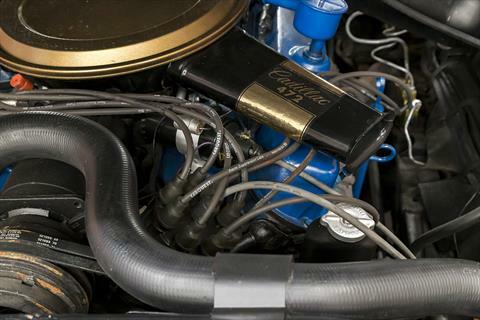 The V8 engine starts with just a twist of the key and runs very smooth with plenty of power on tap. 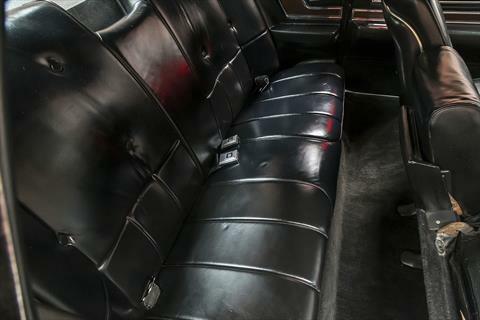 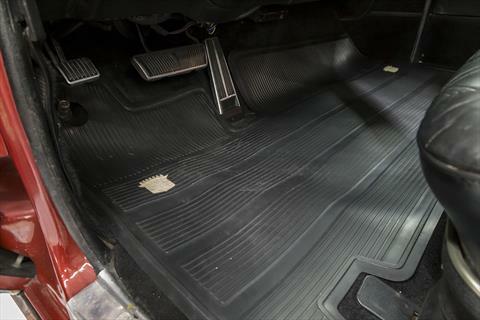 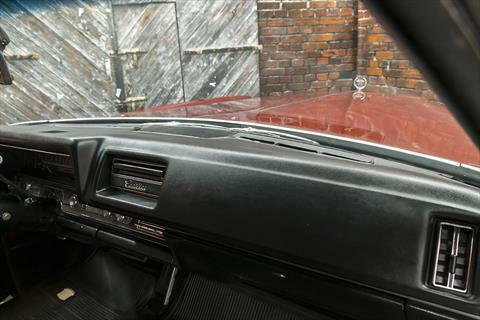 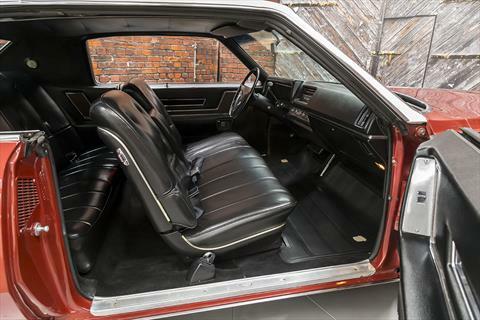 The interior is also in superb condition and the air conditioning blows cold. 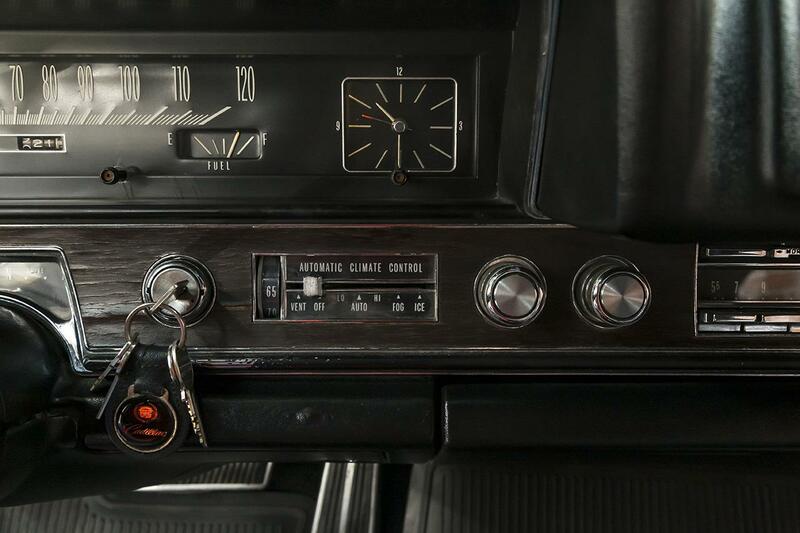 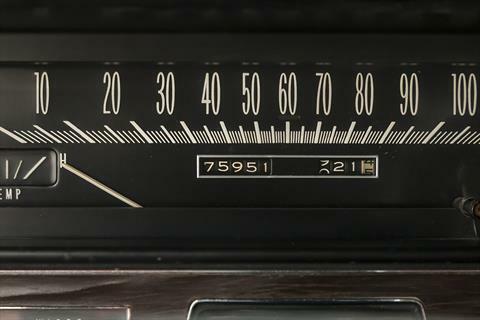 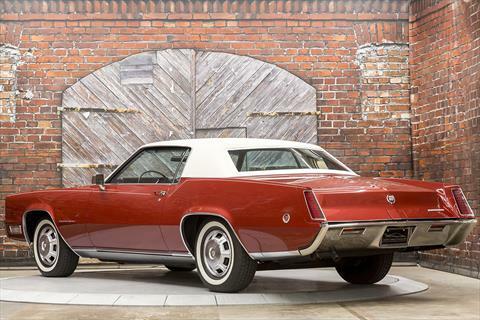 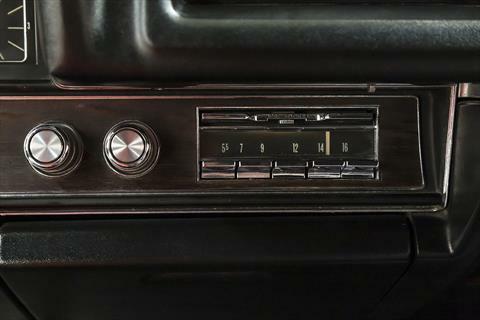 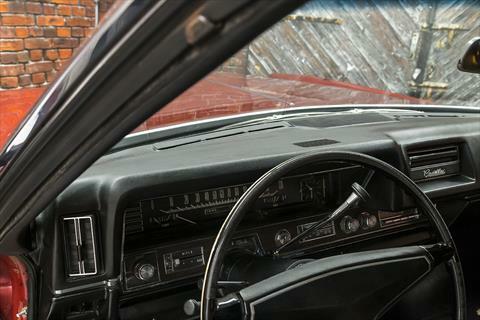 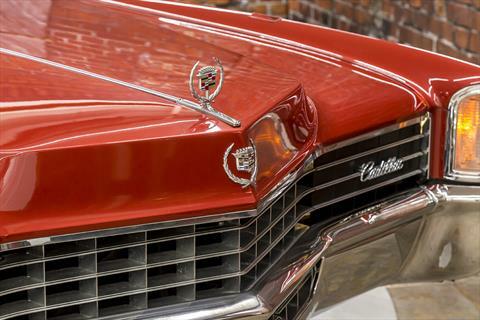 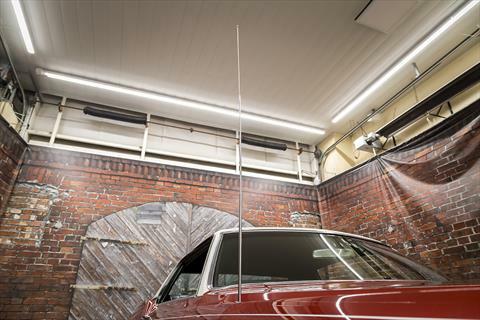 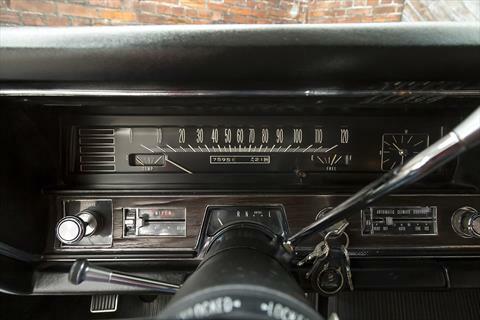 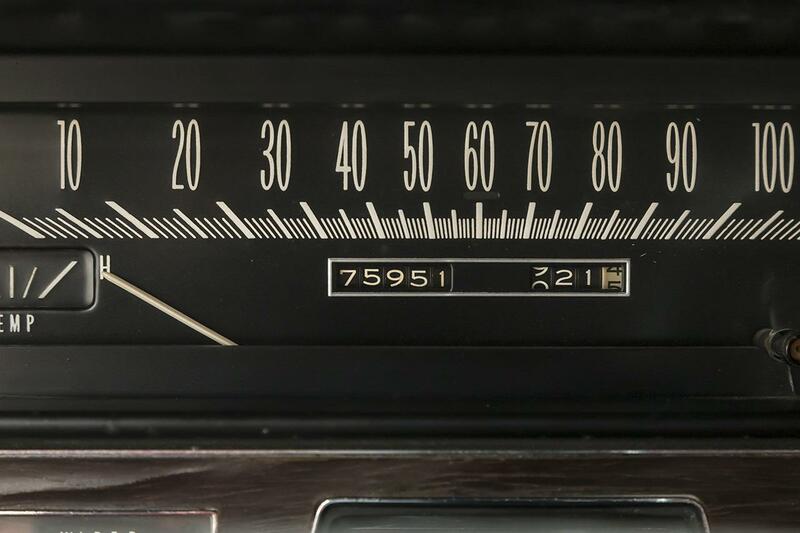 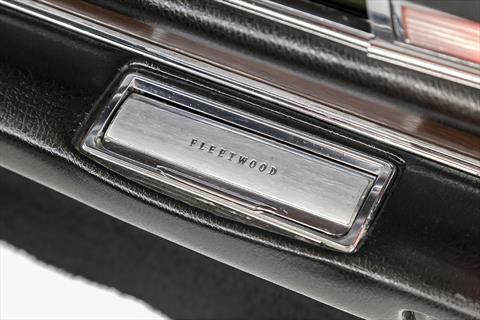 This Cadillac Eldorado was sold new on November 20, 1967 to its first owner in Hartford, Connecticut. 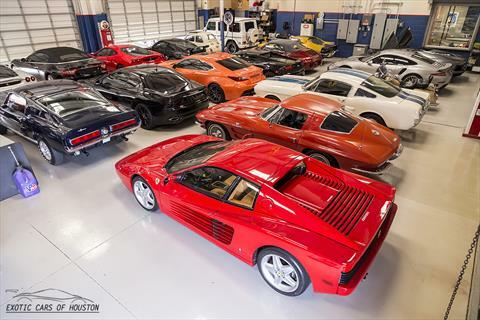 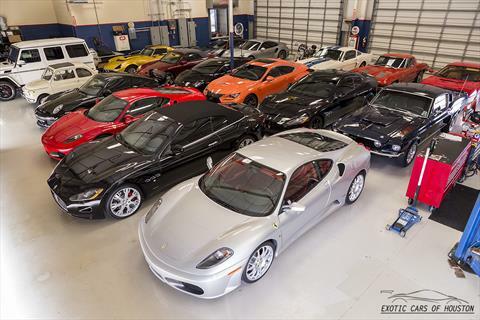 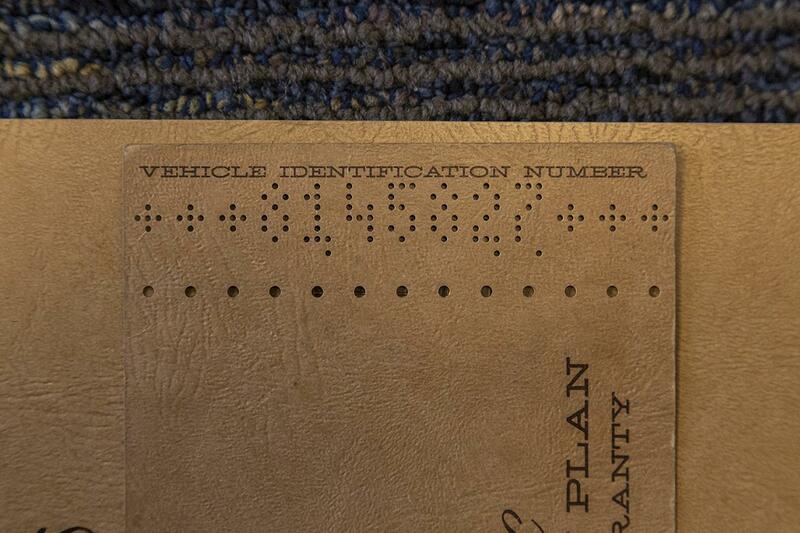 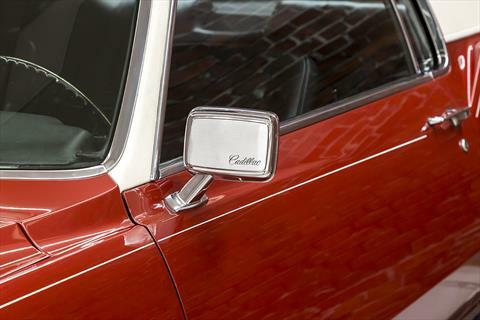 It was a very popular seller in its time and remains popular with enthusiasts today. 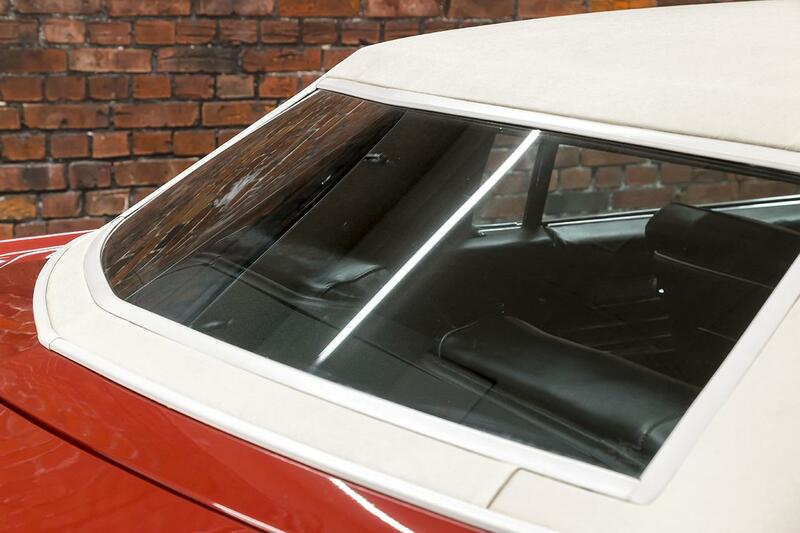 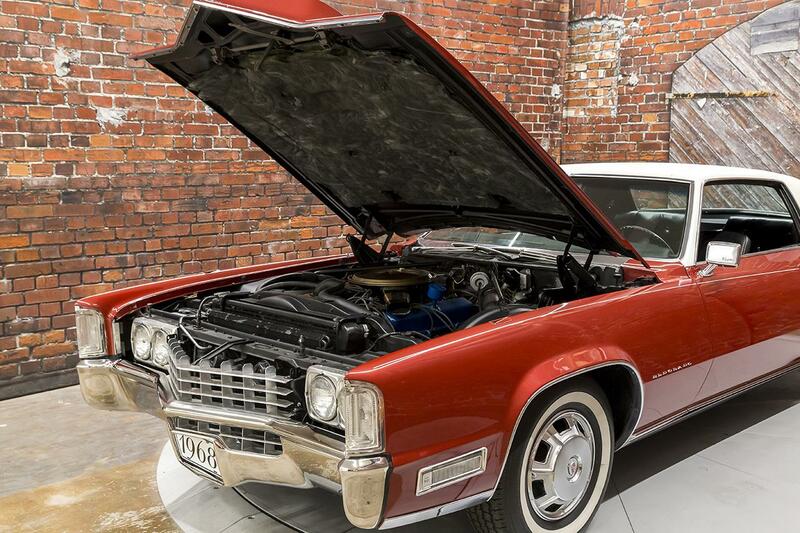 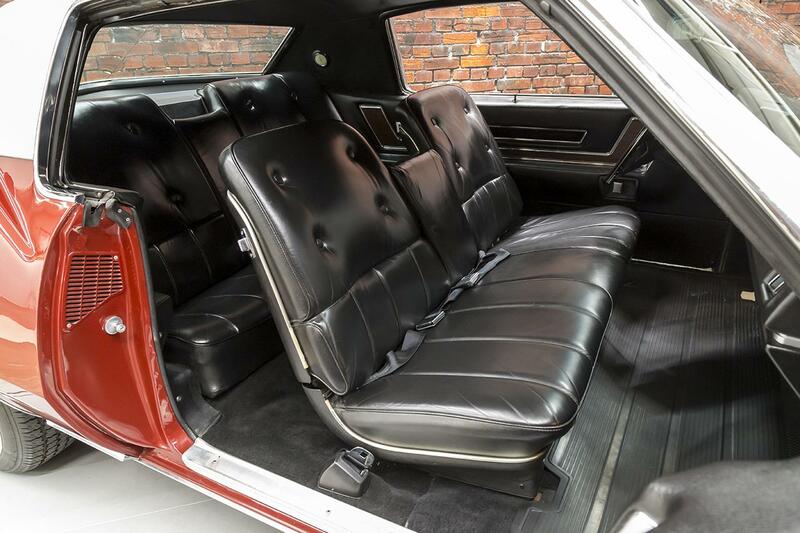 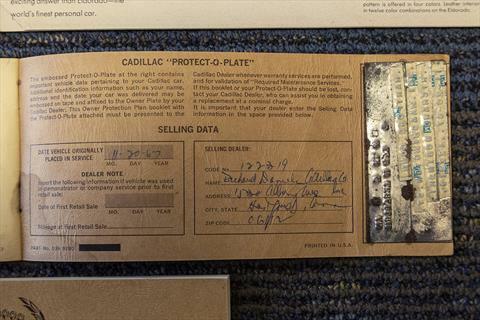 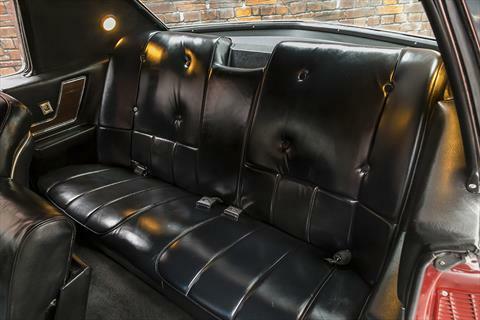 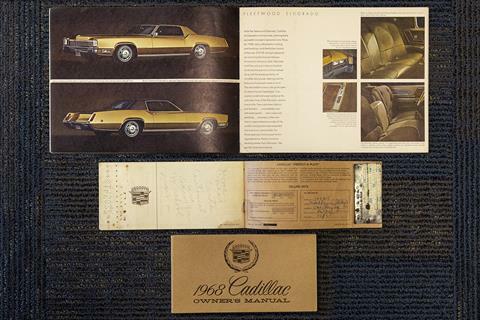 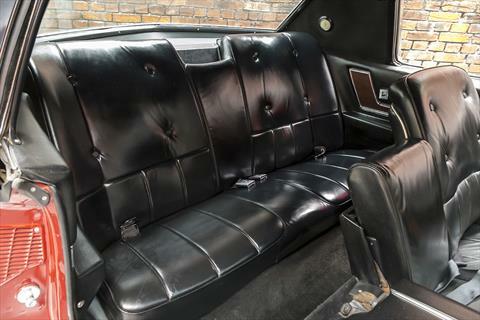 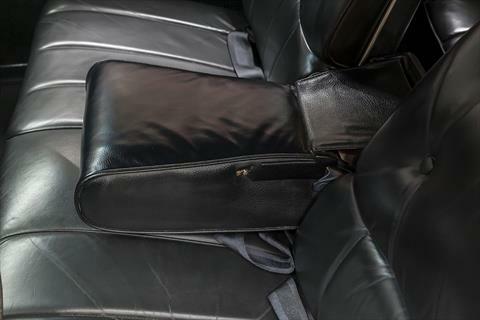 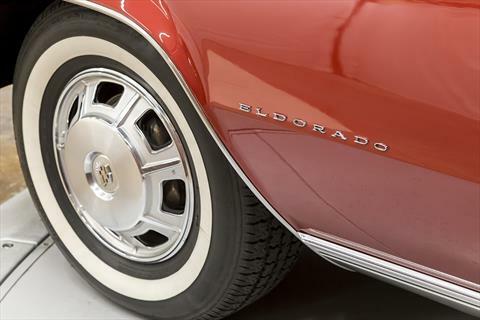 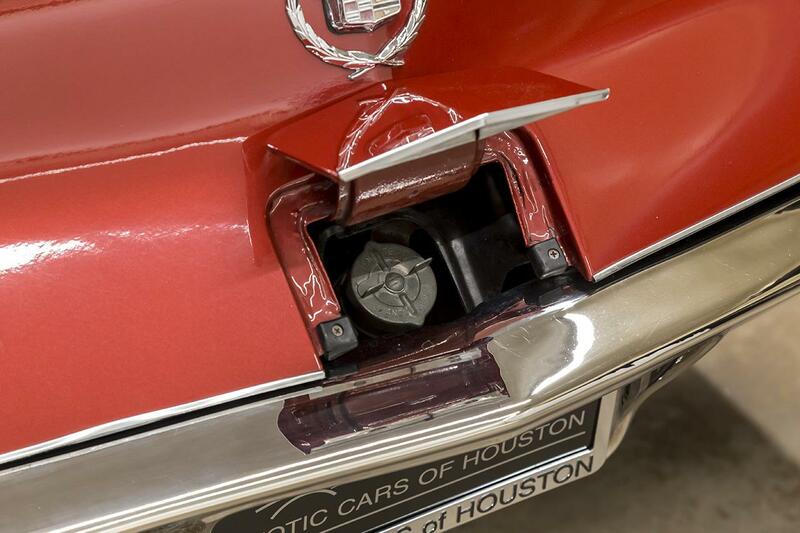 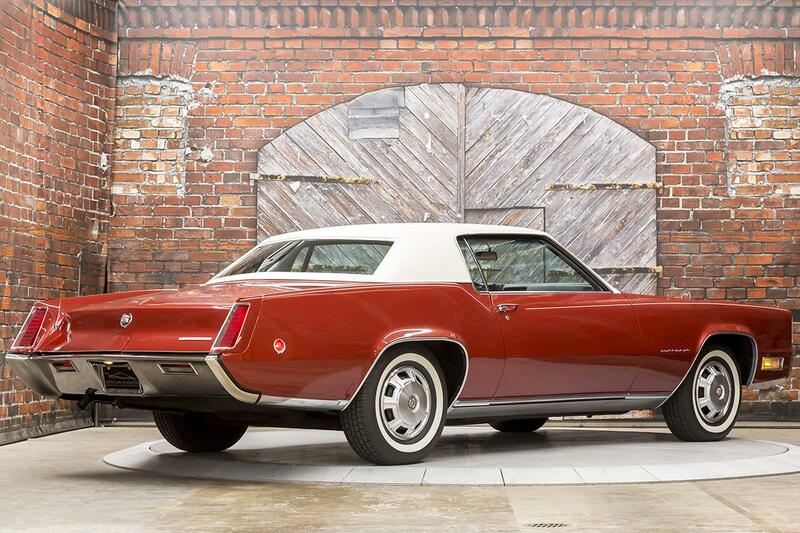 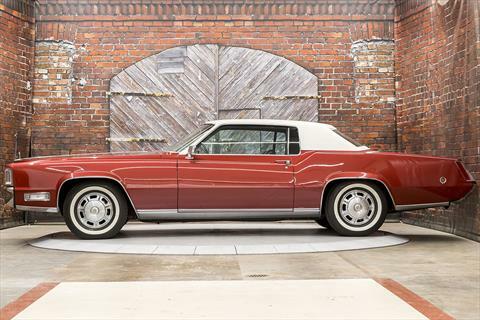 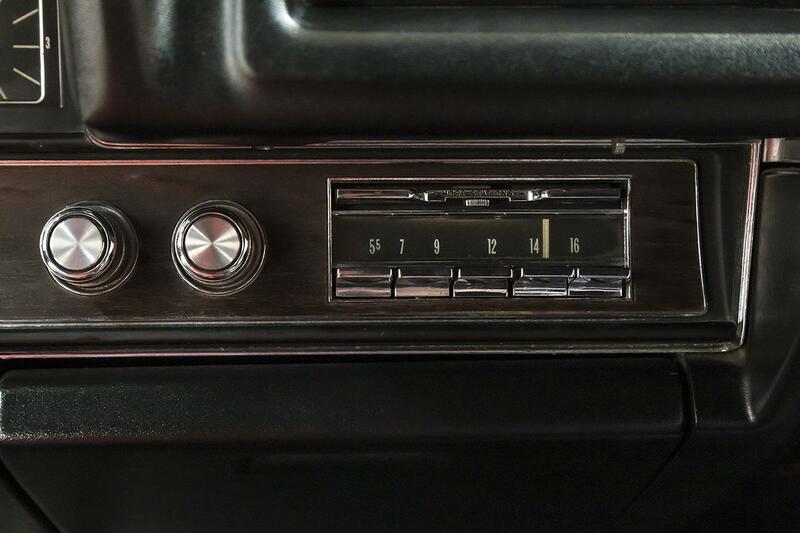 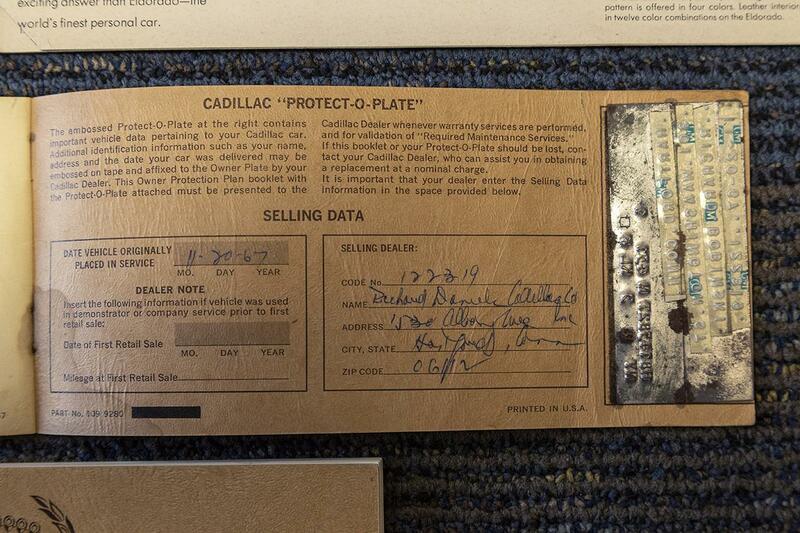 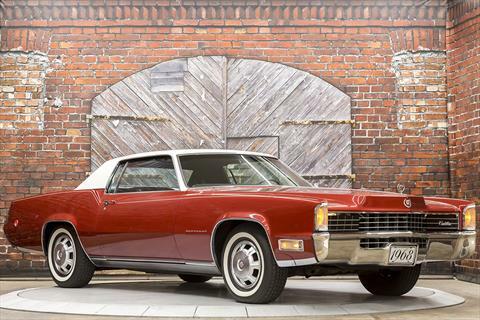 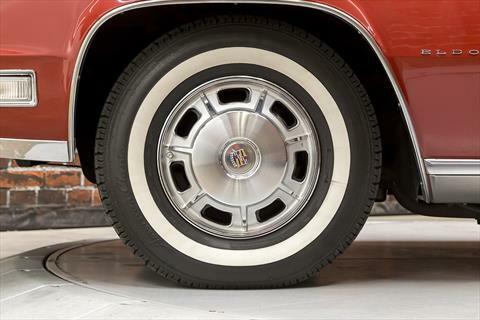 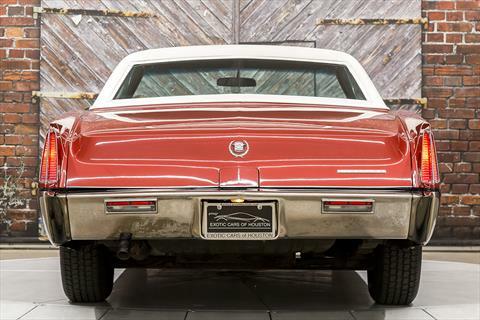 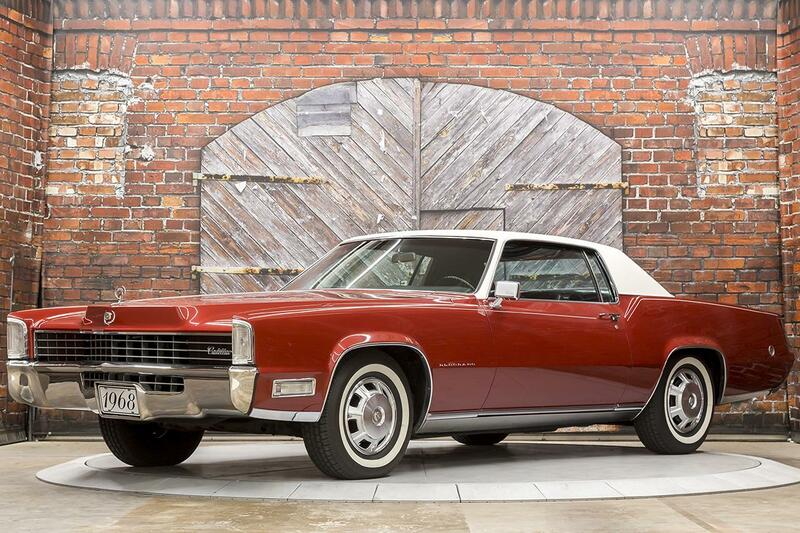 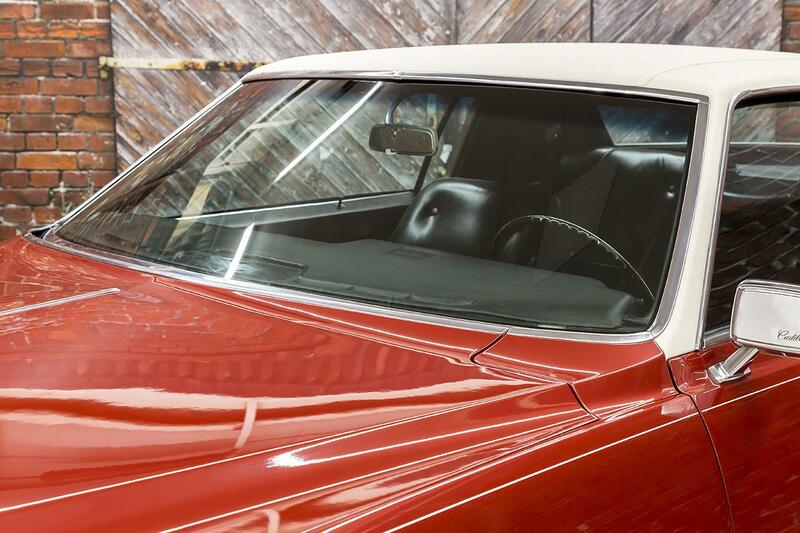 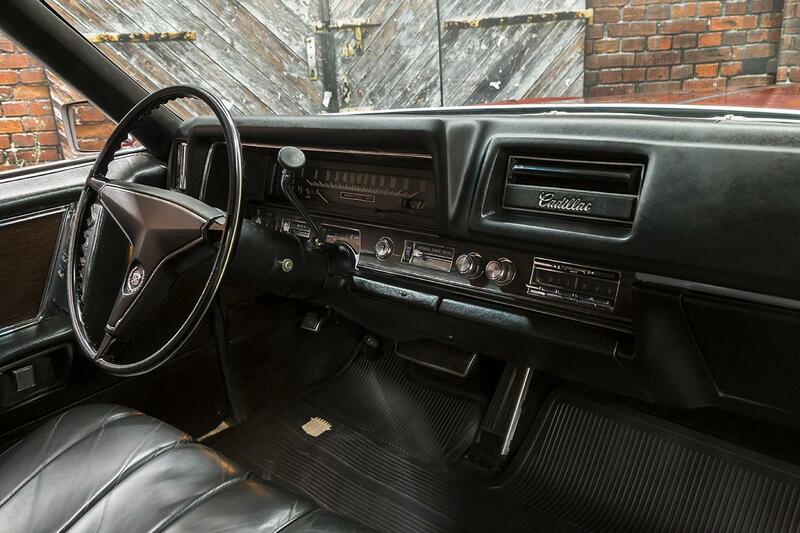 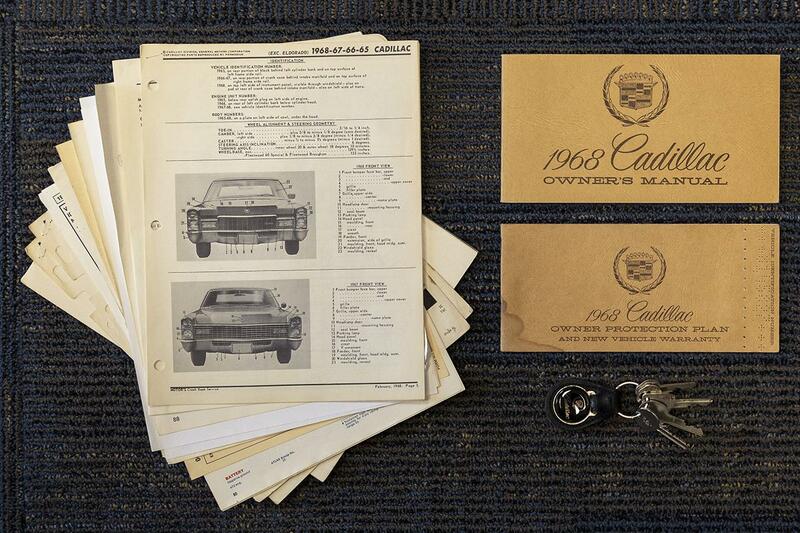 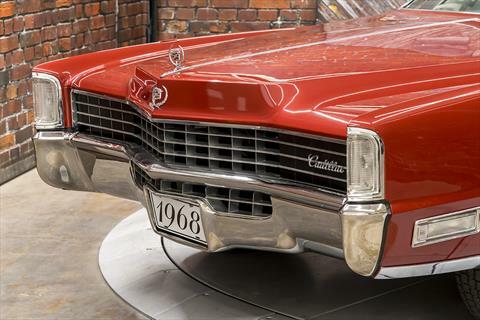 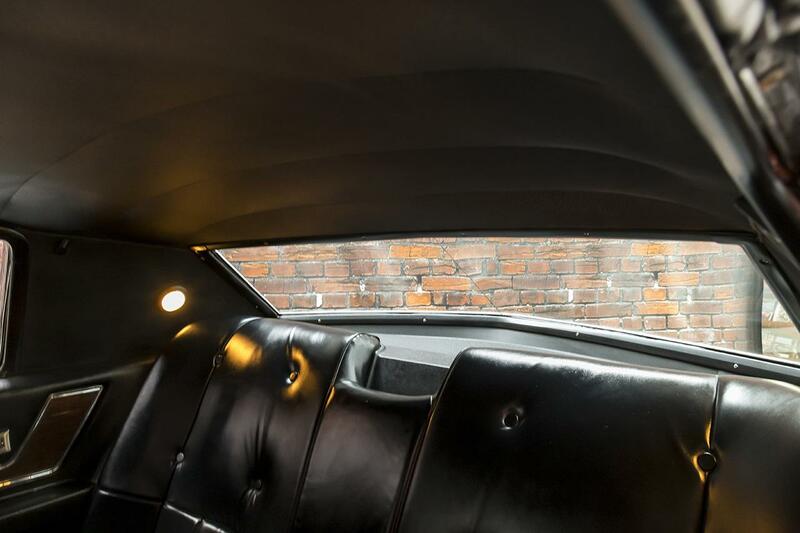 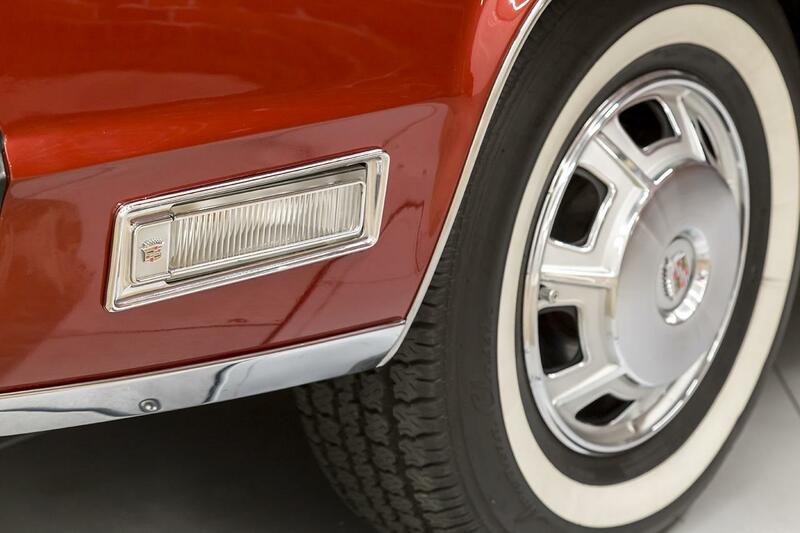 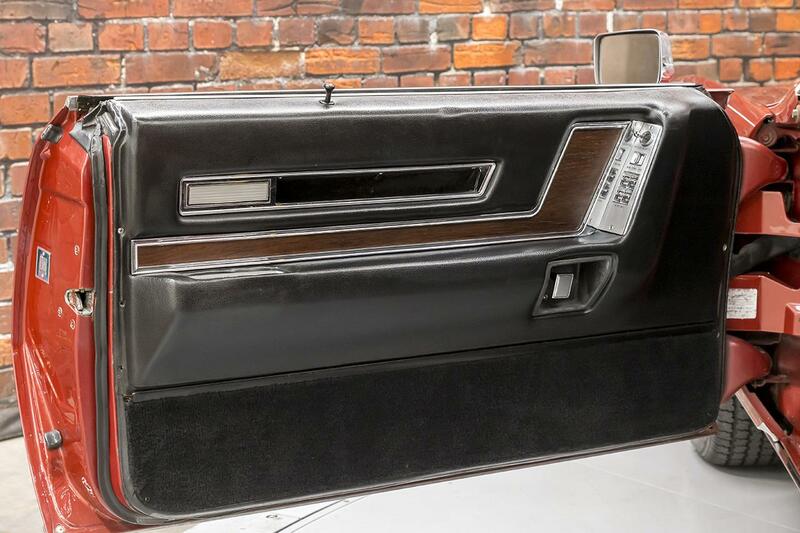 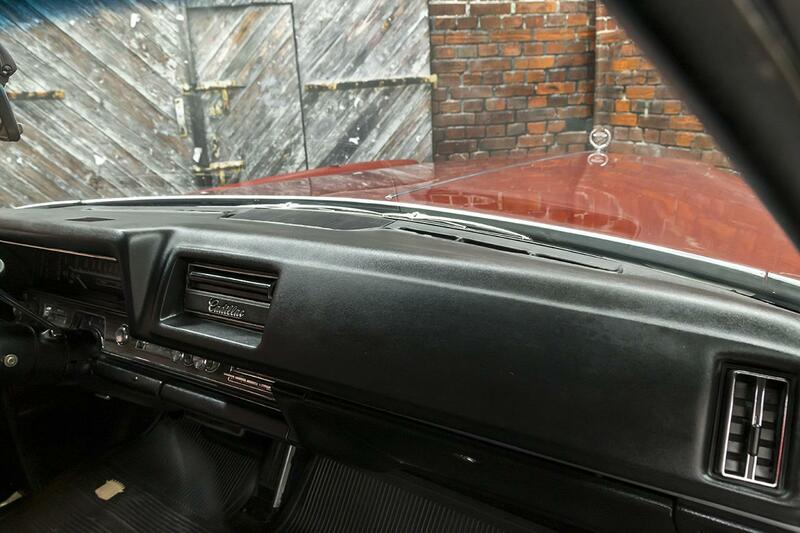 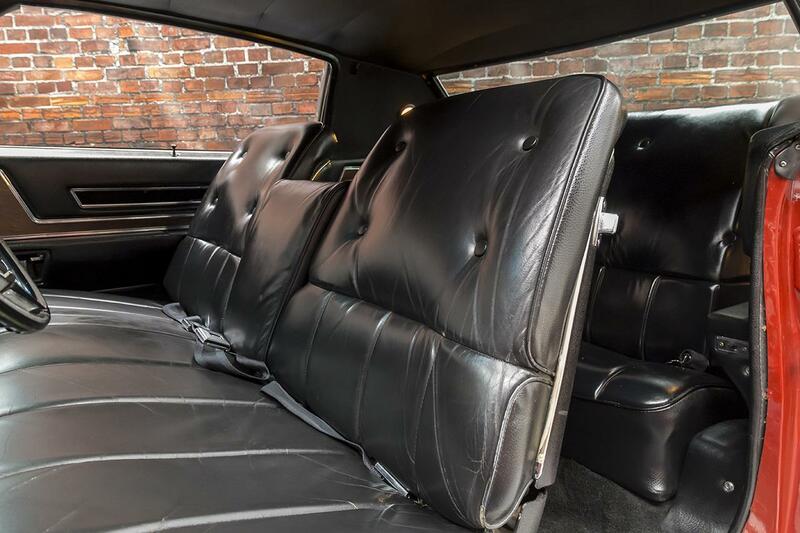 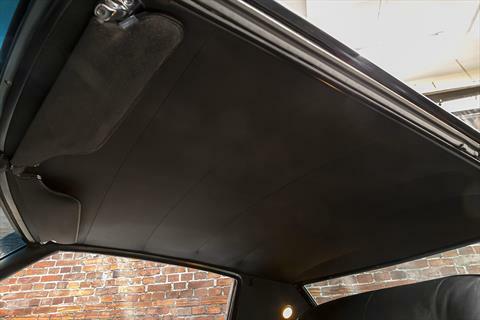 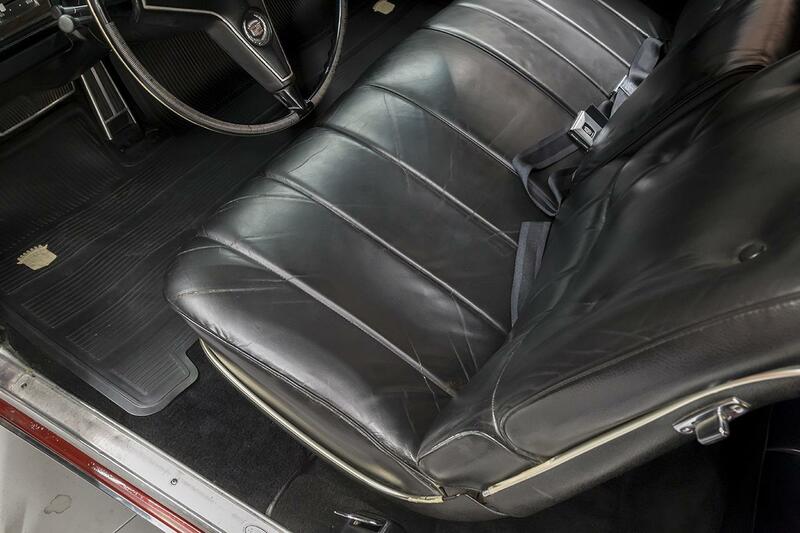 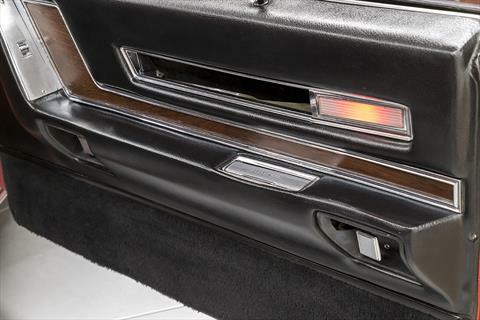 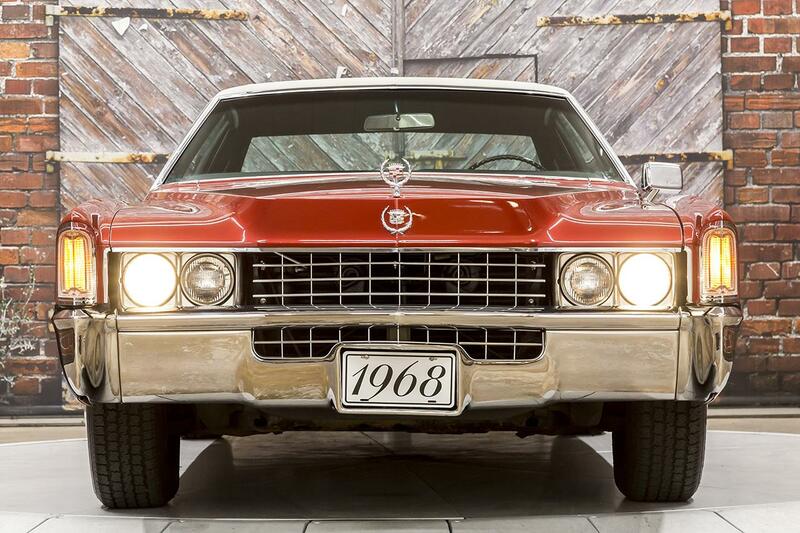 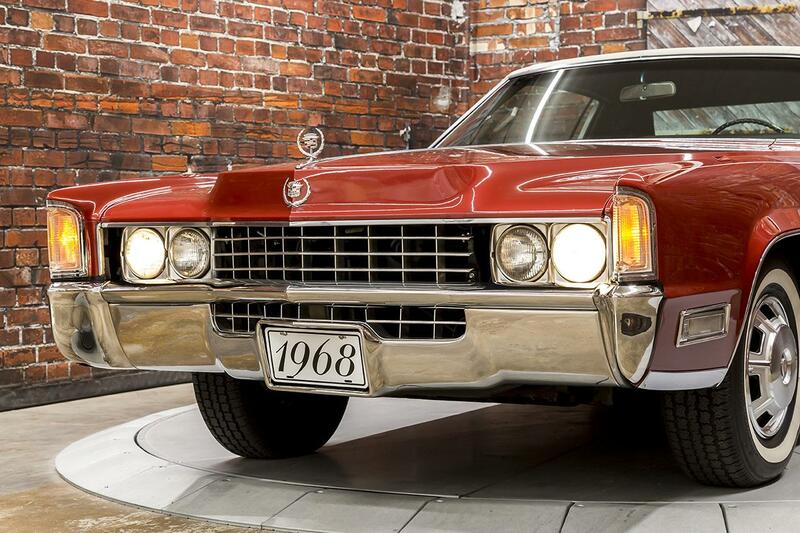 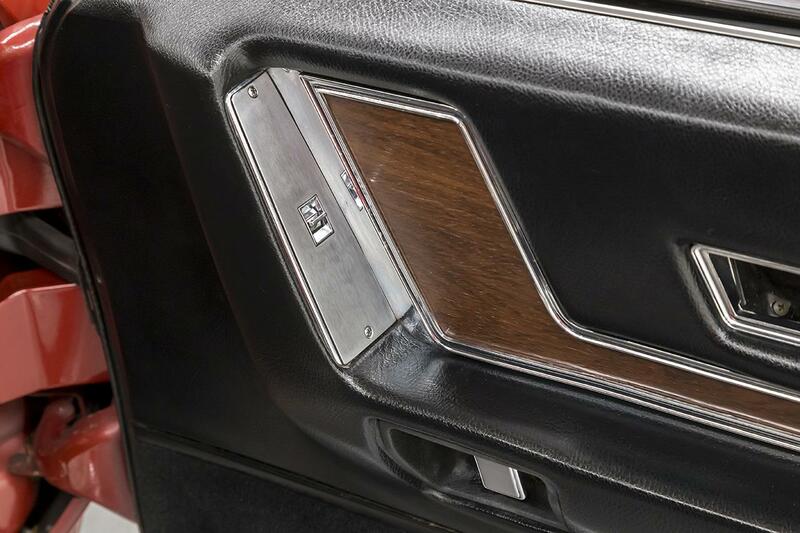 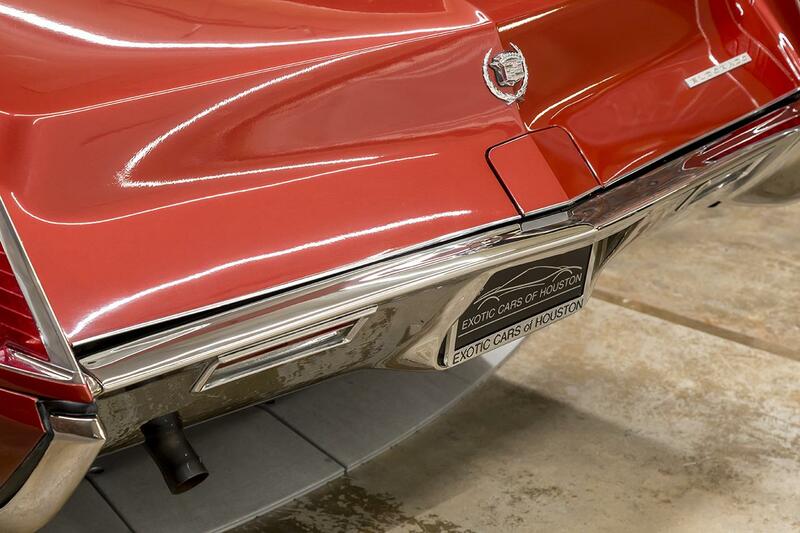 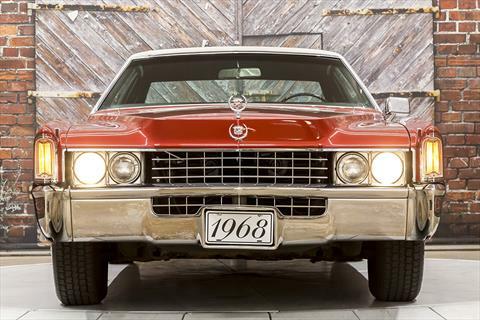 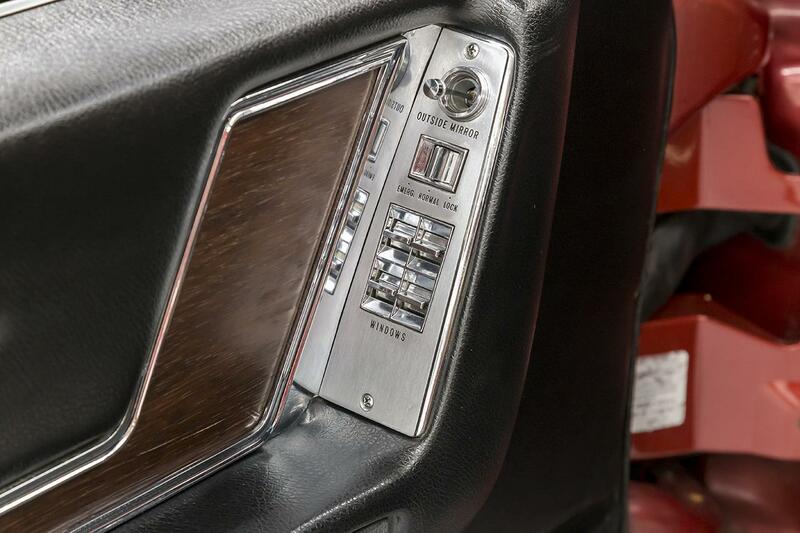 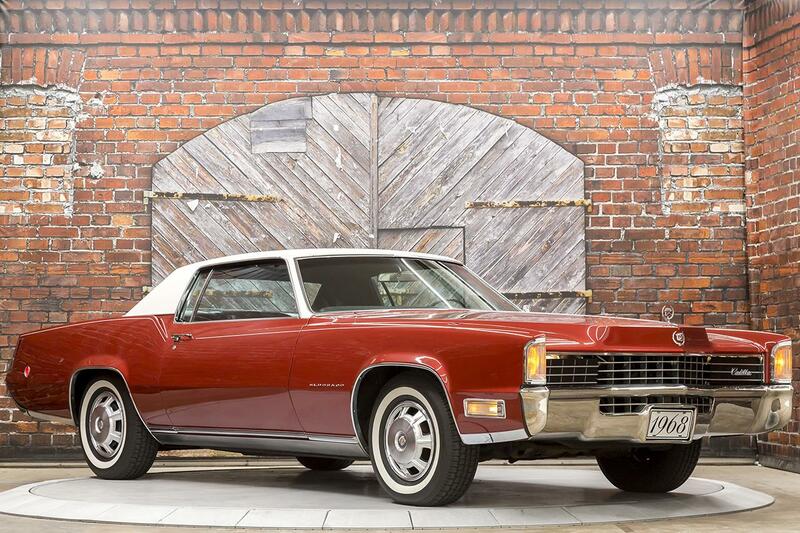 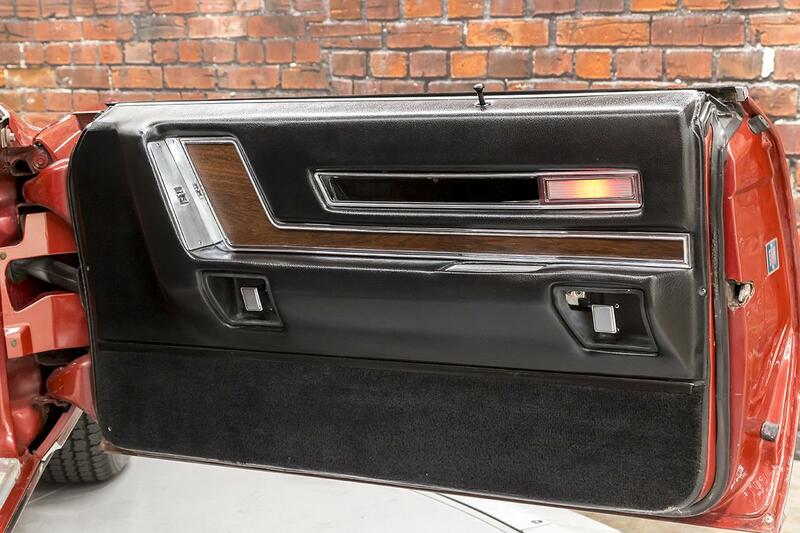 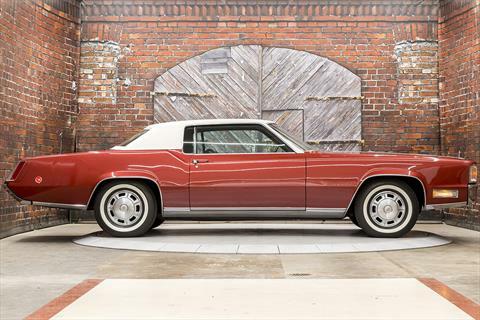 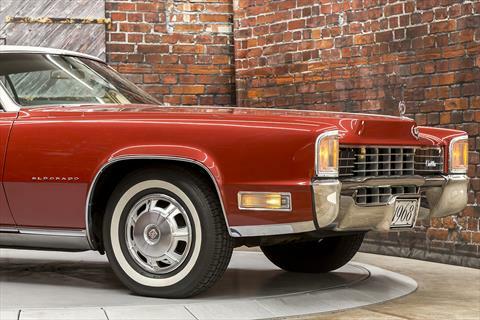 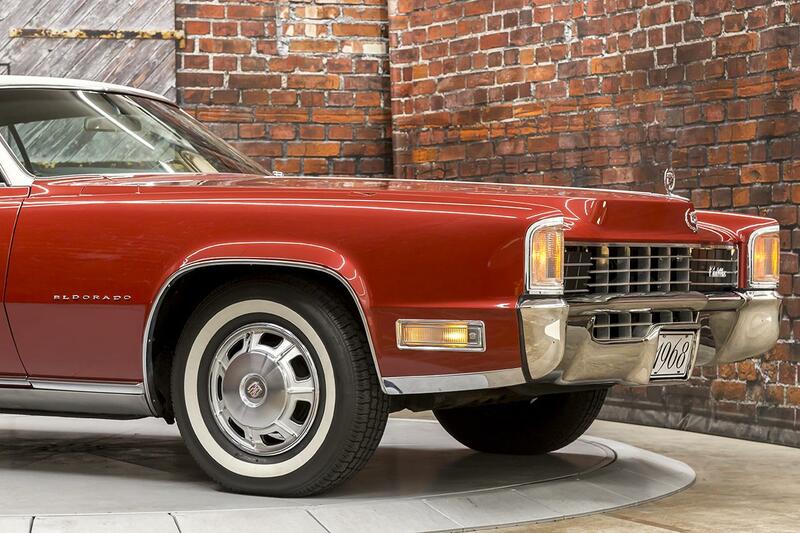 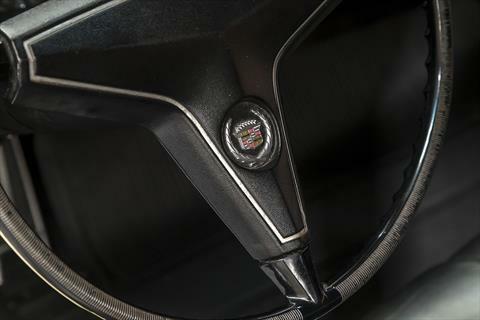 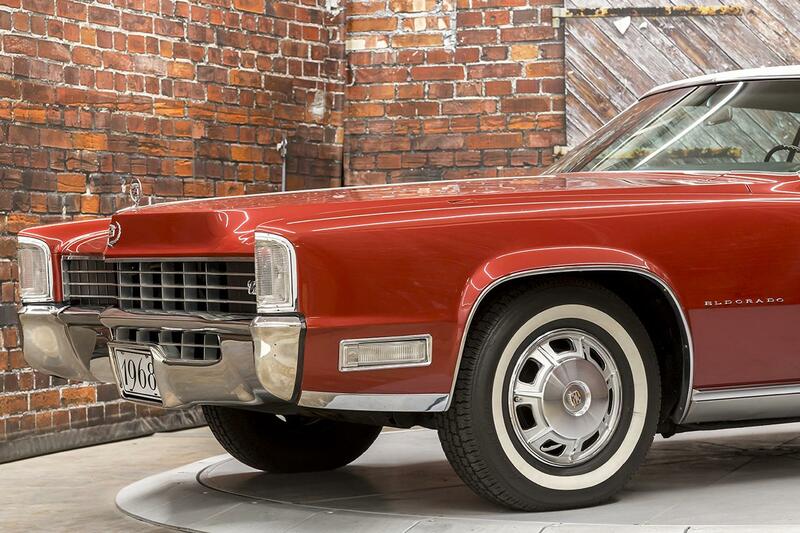 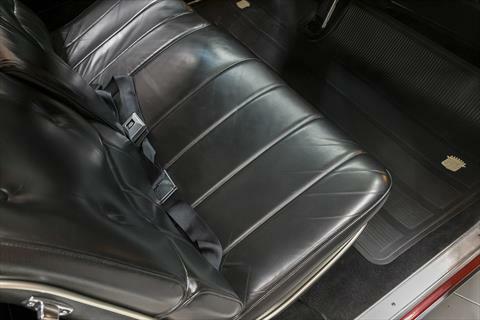 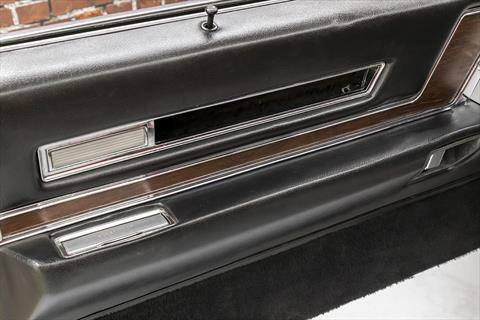 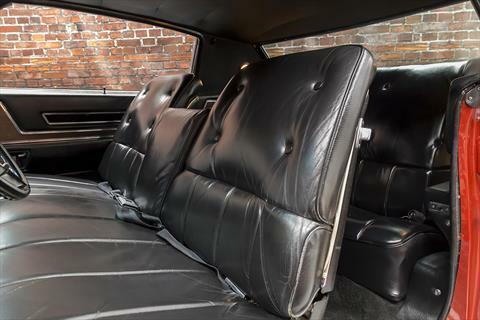 This Eldorado includes the original sales brochure, owner’s manual, and even the original protection plan and warranty book with its Cadillac Protect-O-Plate.